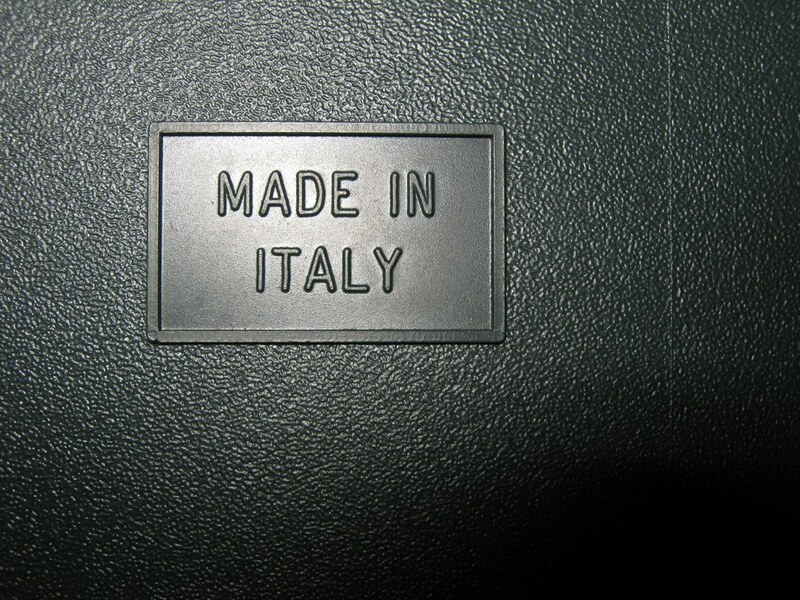 For this donation i thank: Paolo Cognetti from Roma. 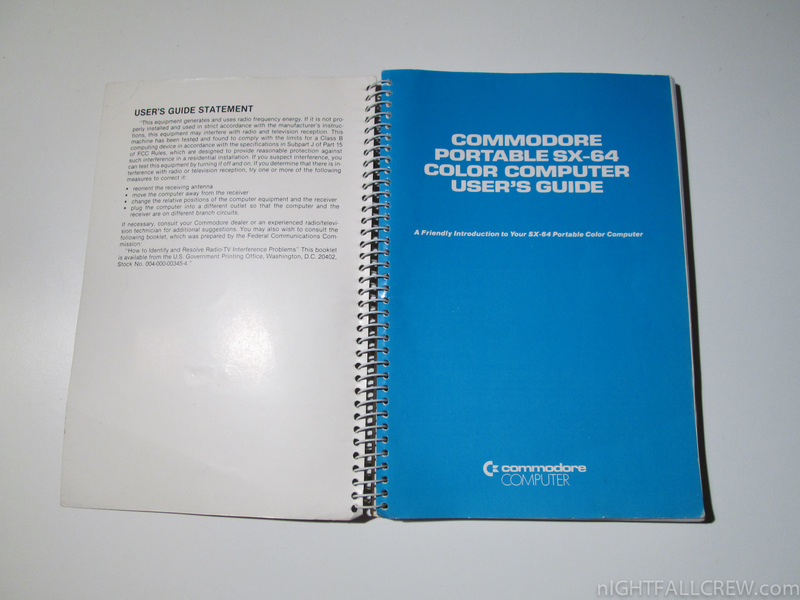 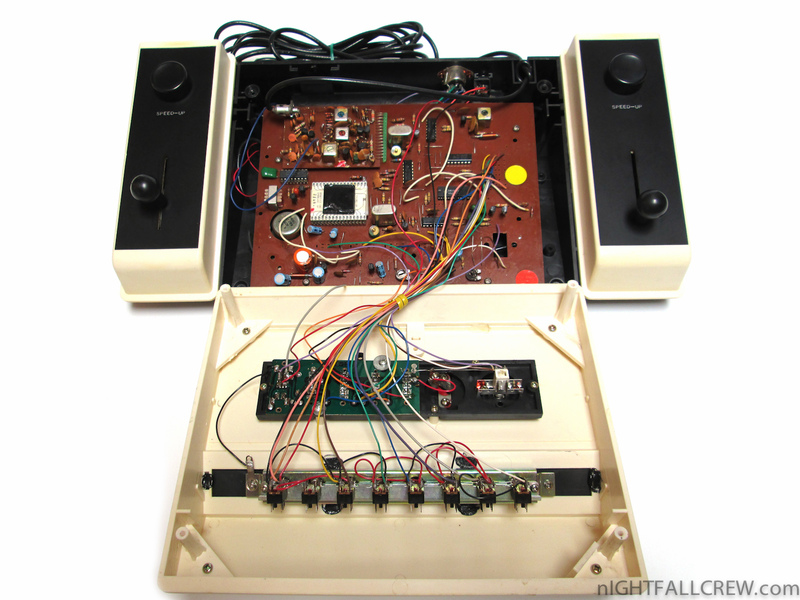 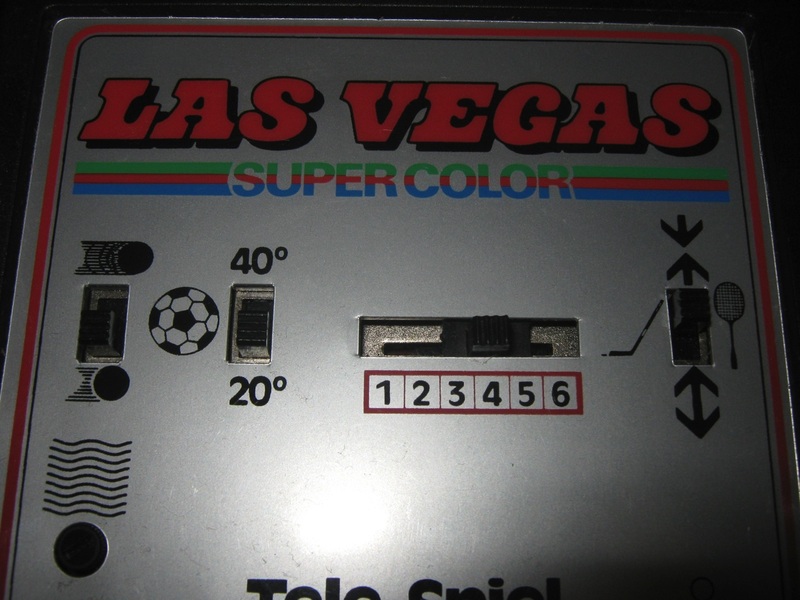 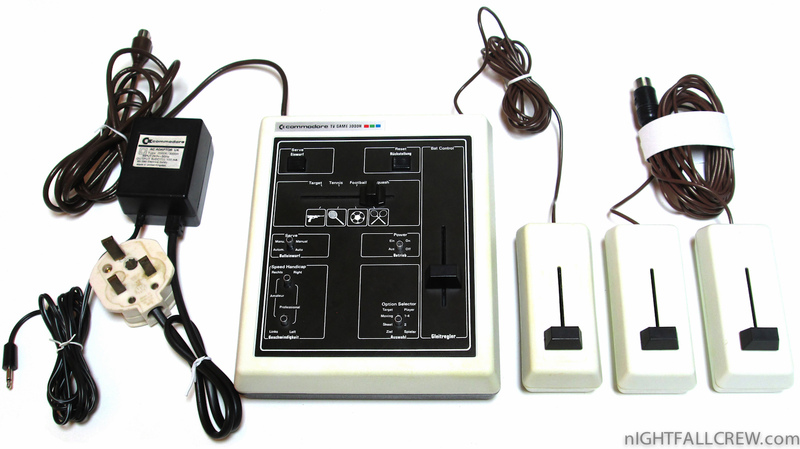 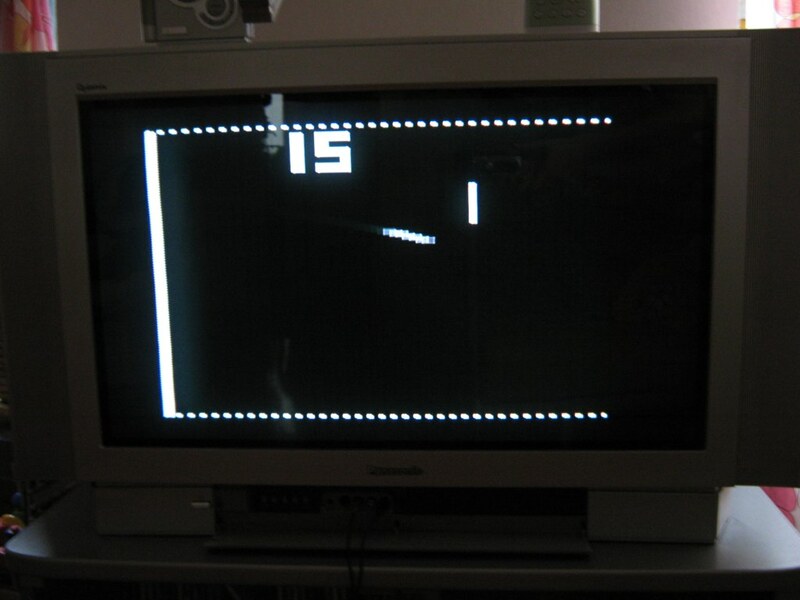 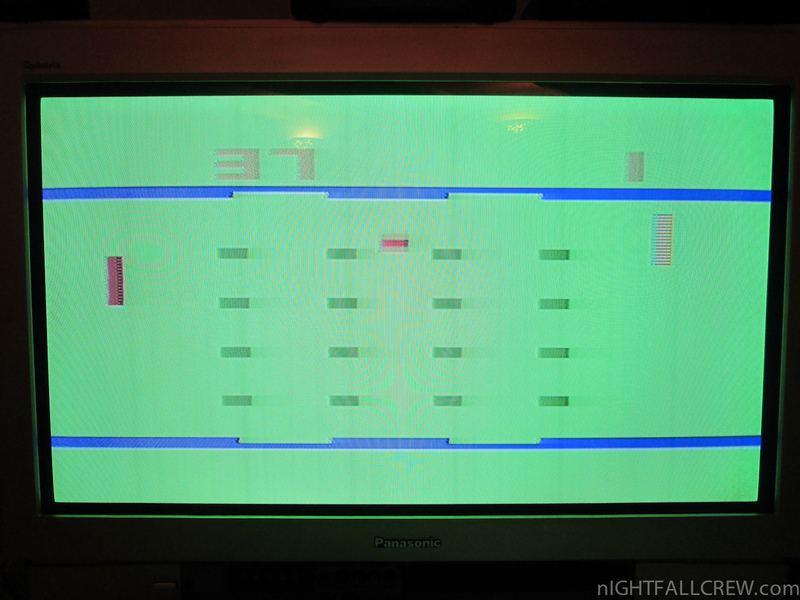 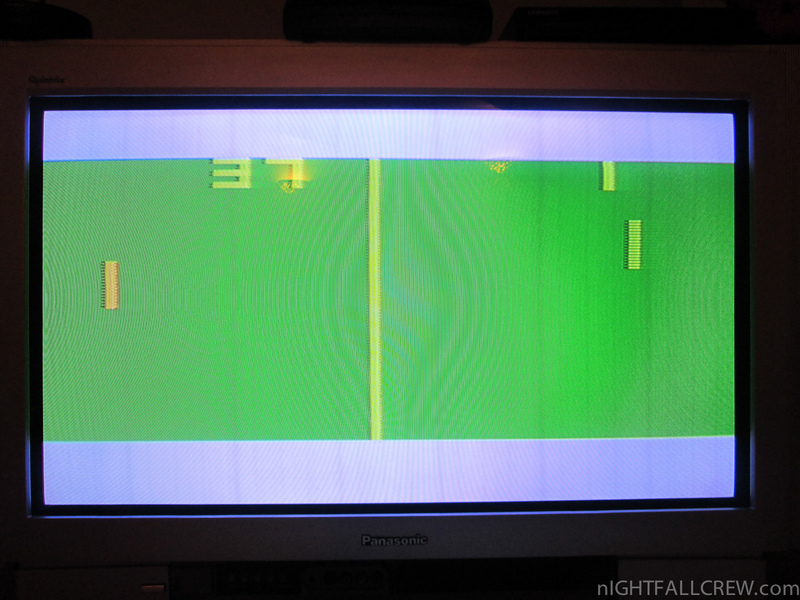 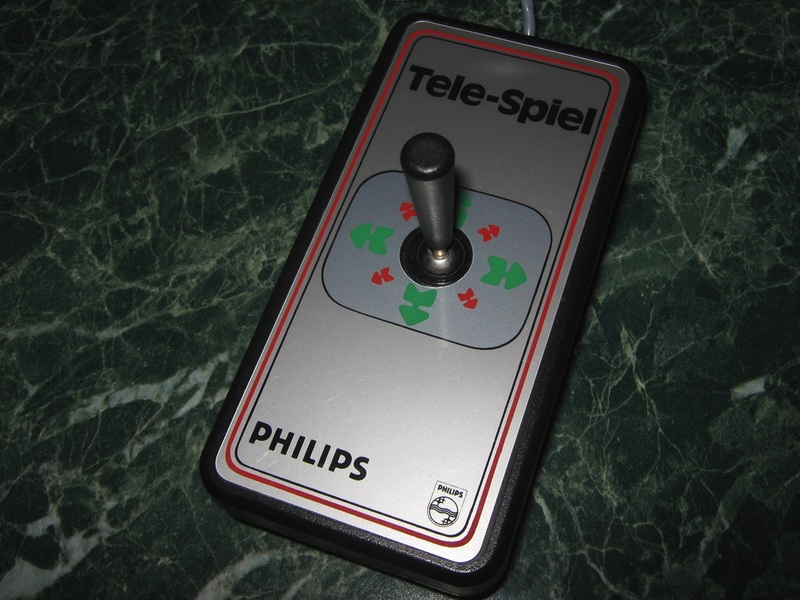 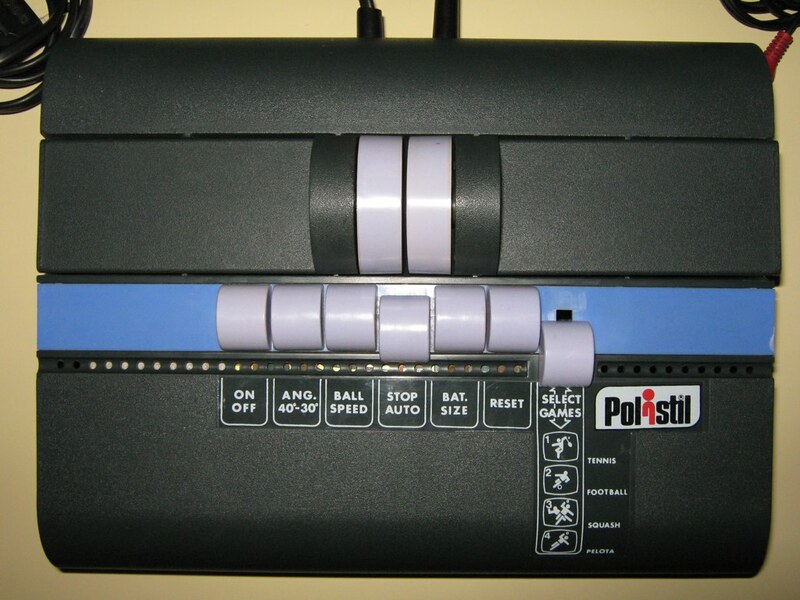 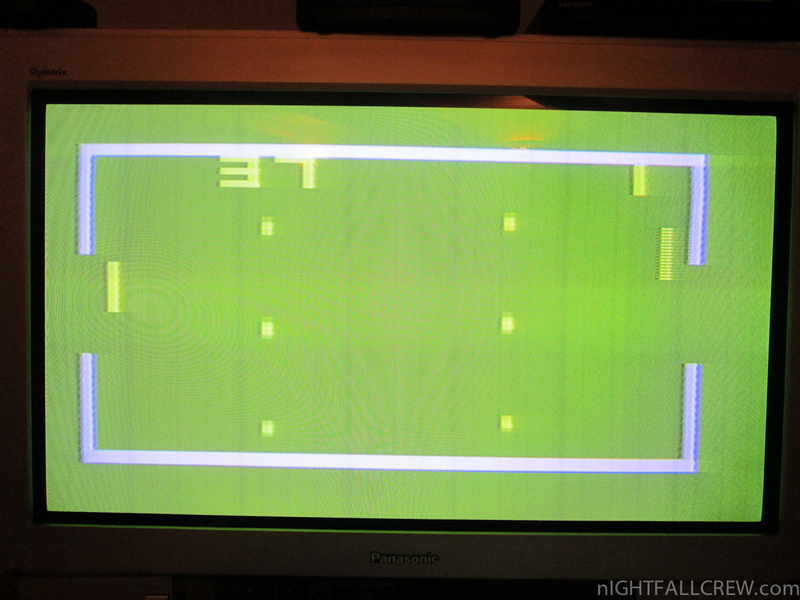 This is a 3rd generation pong color system. 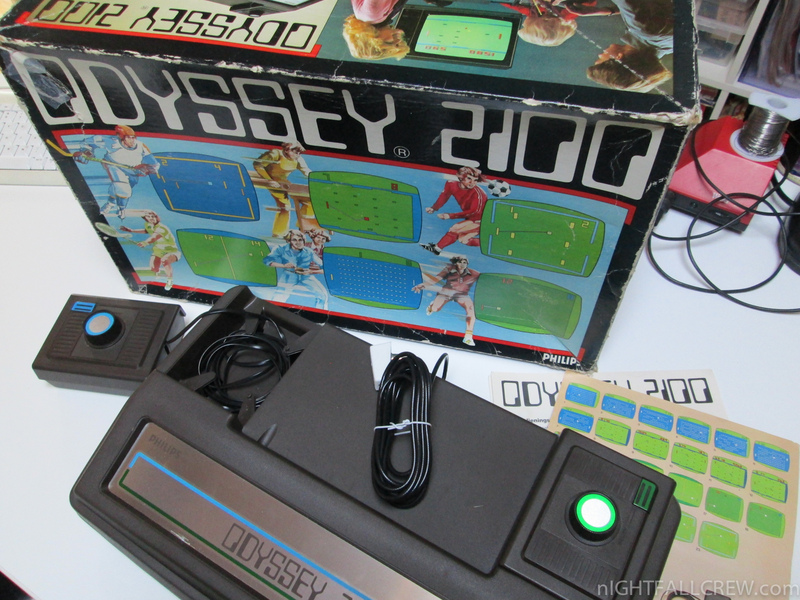 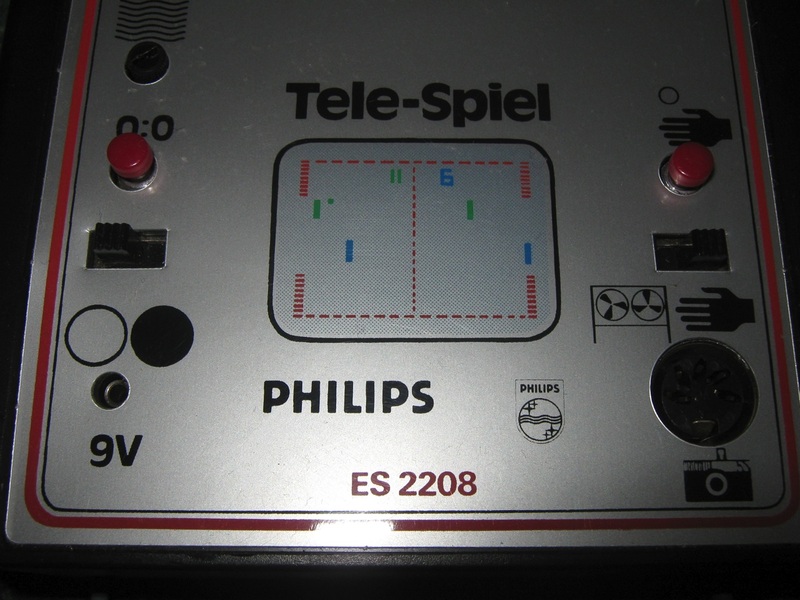 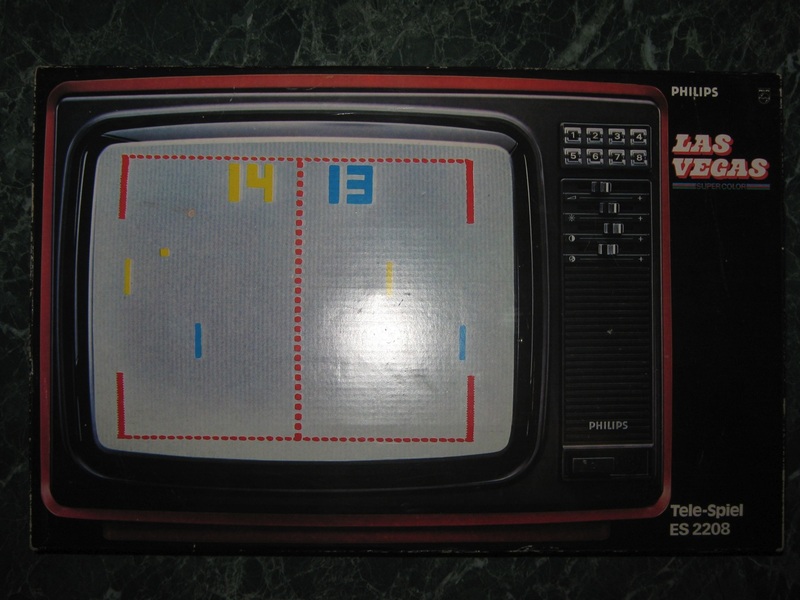 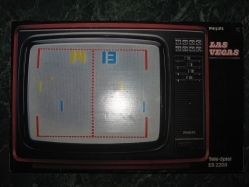 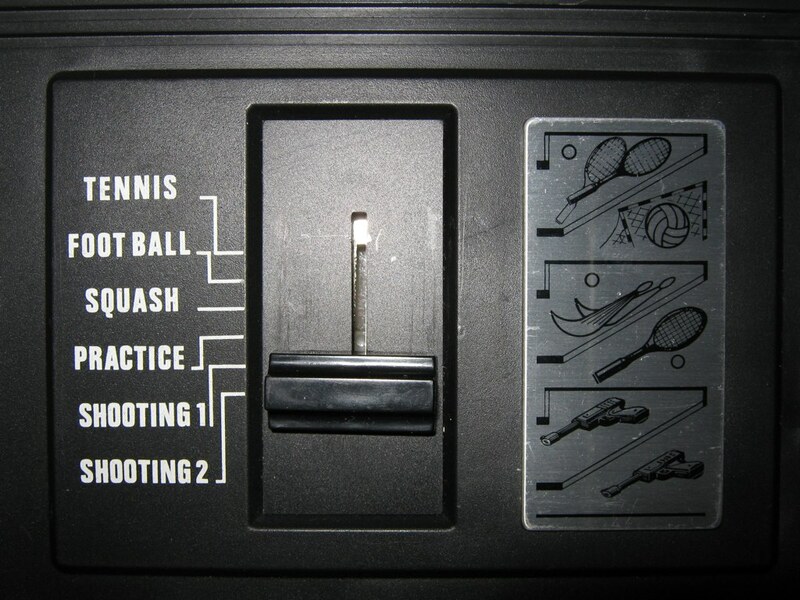 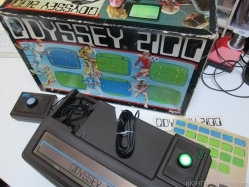 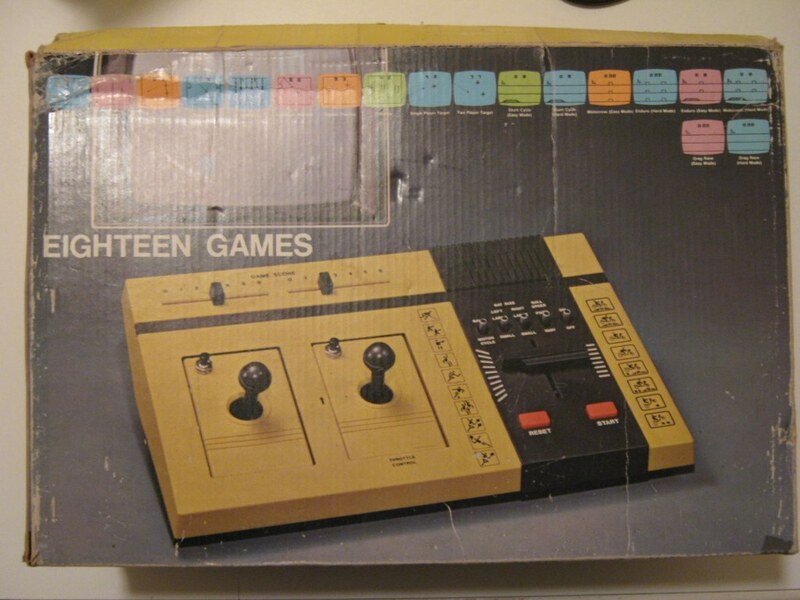 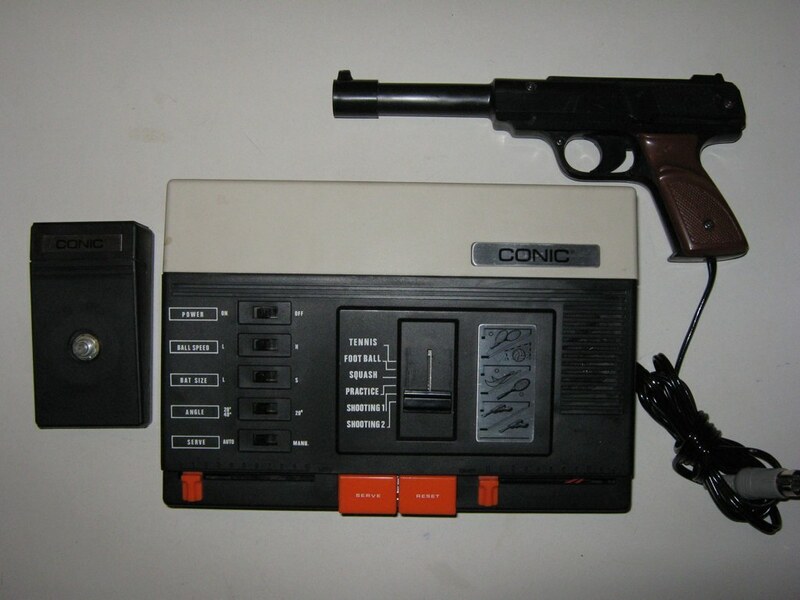 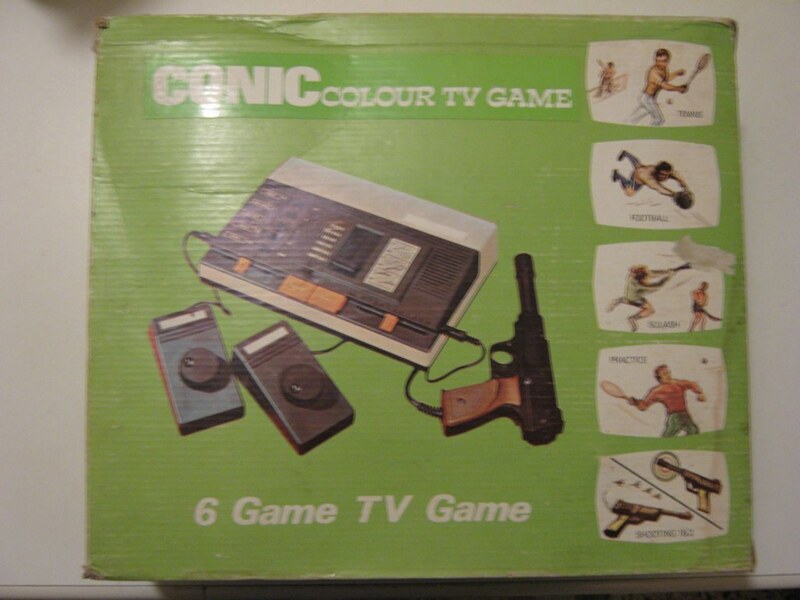 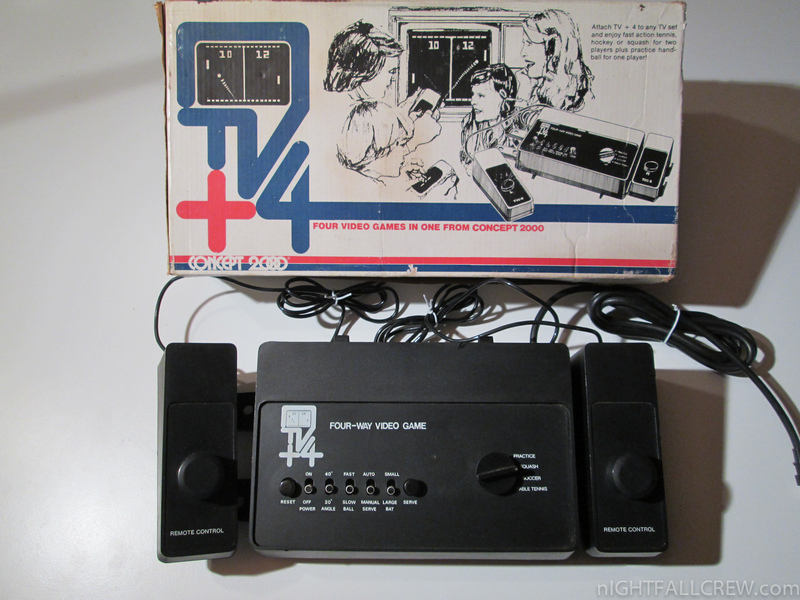 It uses the usual 10 games cartridge: Tennis, Hockey, Squash, Practice, Soccer, Basketball, Basketball Practice, Gridball, Traget 1 & 2. 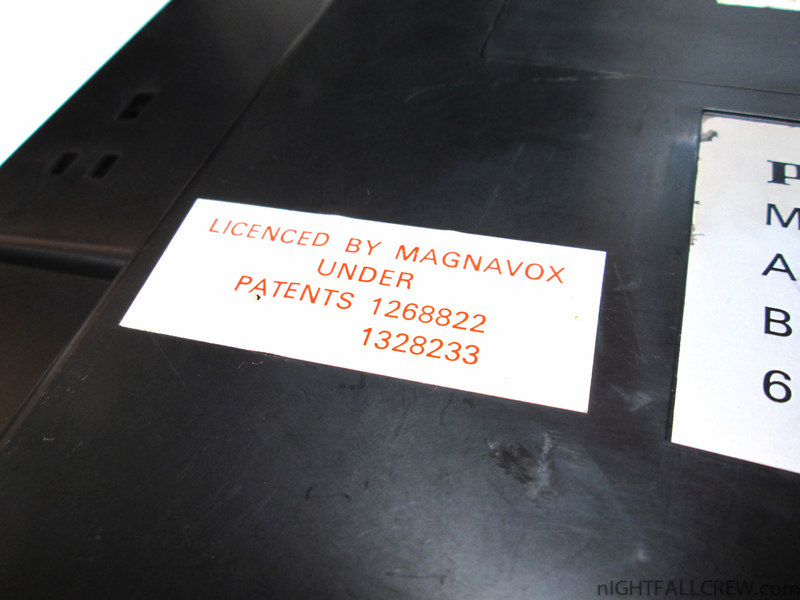 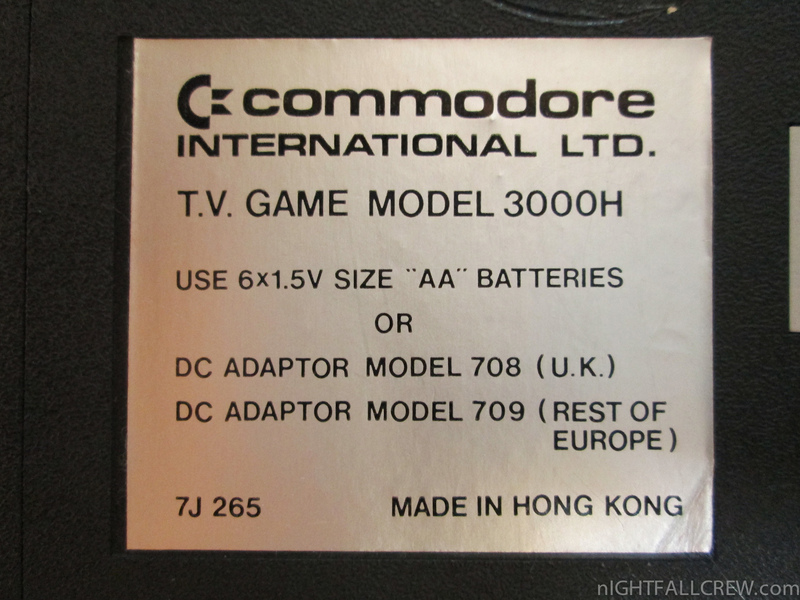 You can find this system everywhere in Europe though it´s origin once was Hongkong. 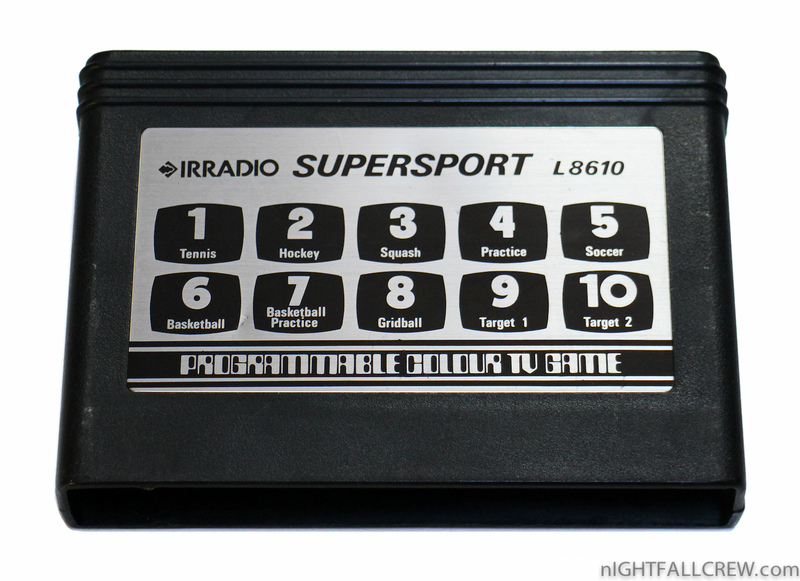 This is a color variant sold by Irradio in Italy. 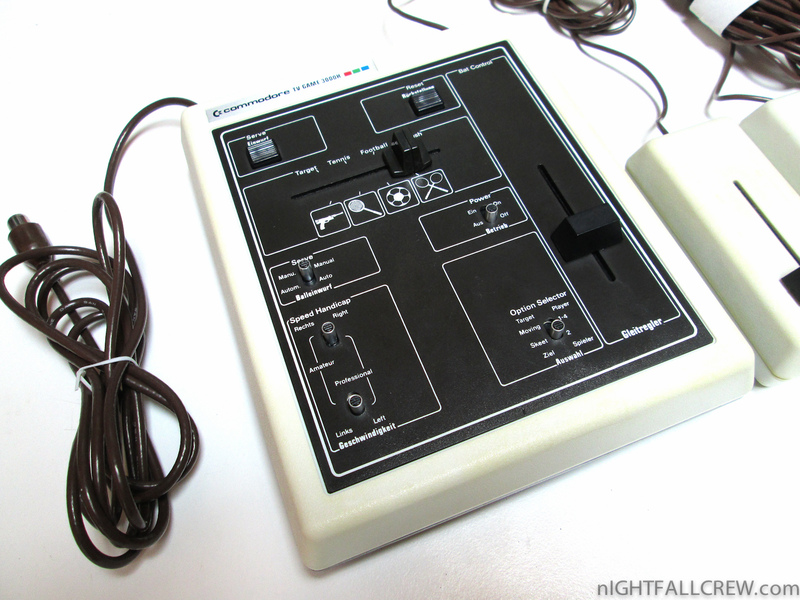 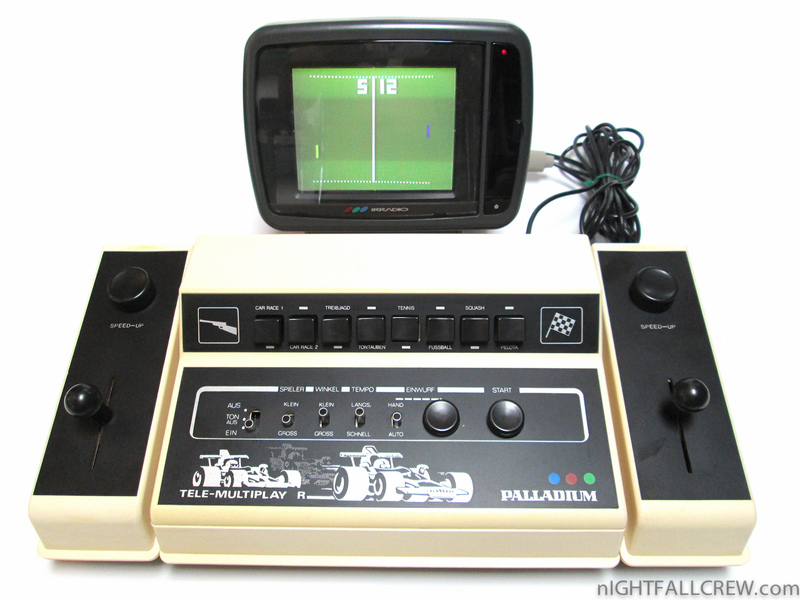 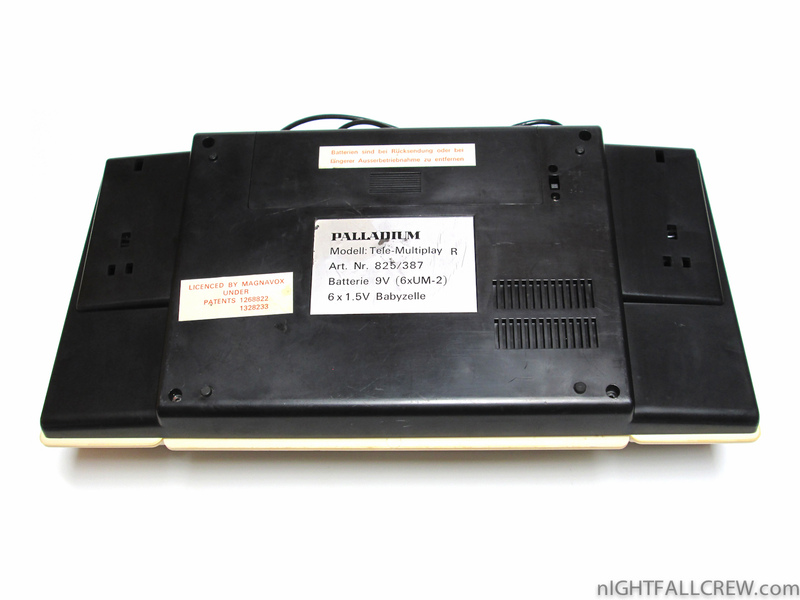 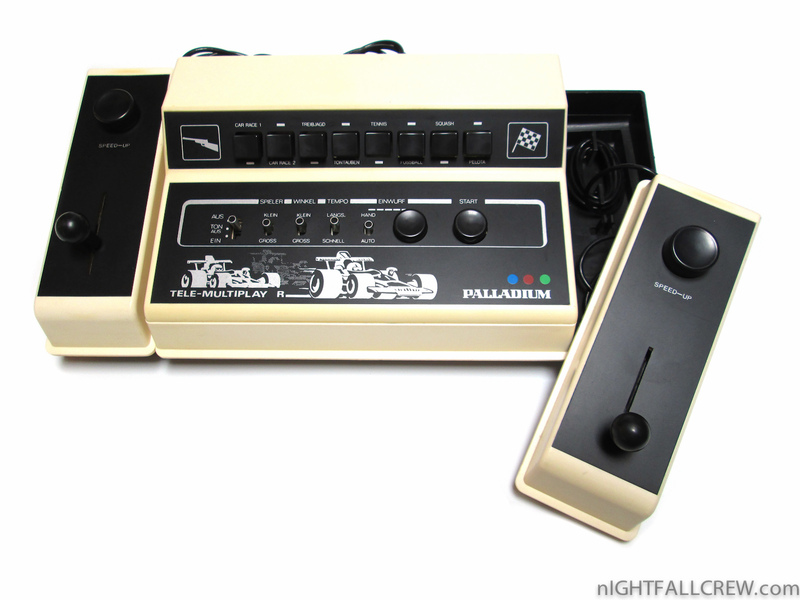 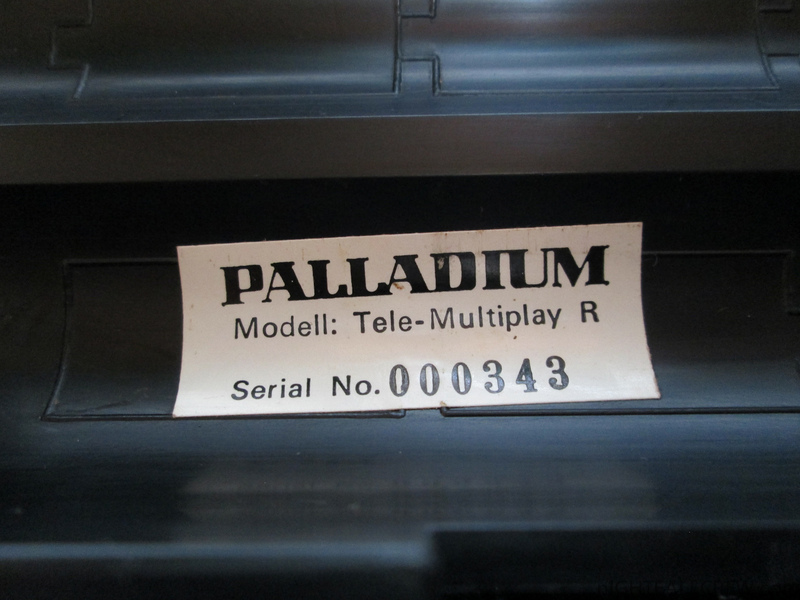 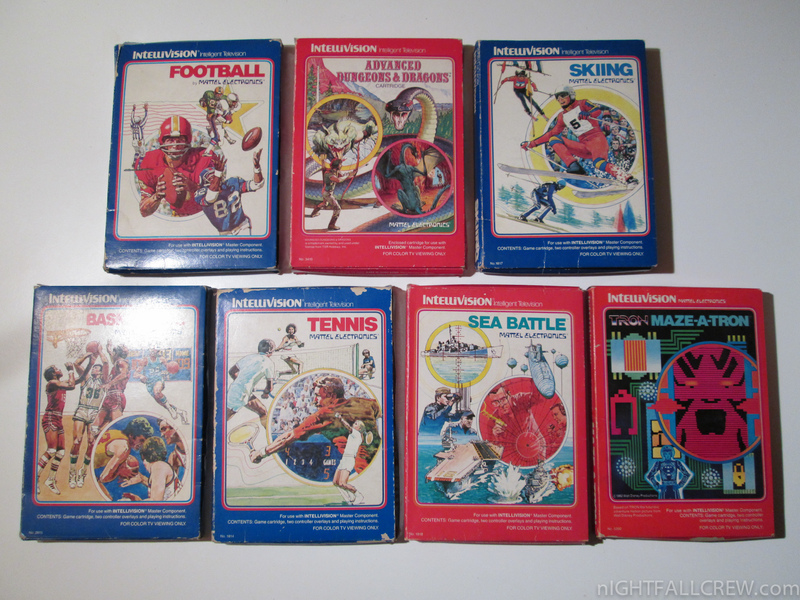 The Palladium game distributed under Magnavox licensed offers 4 ball games, 2 shooting games and 2 car games, all games are in color. 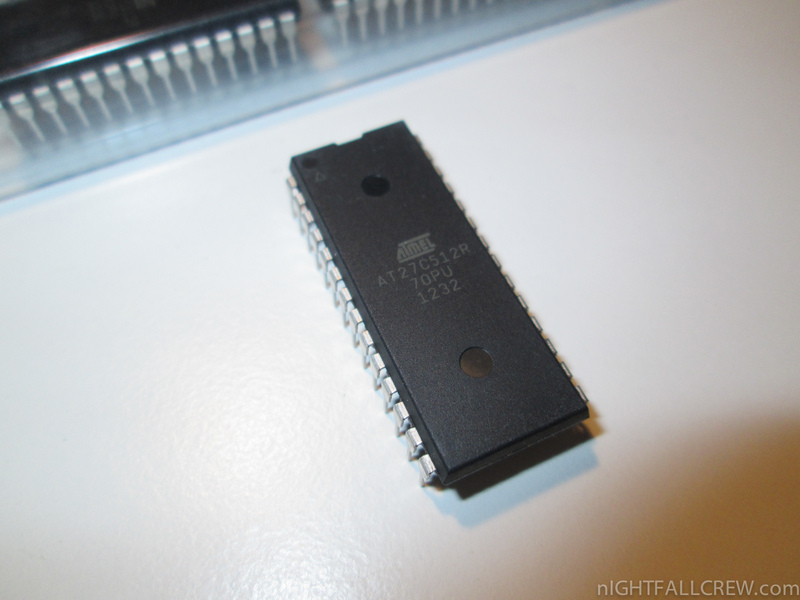 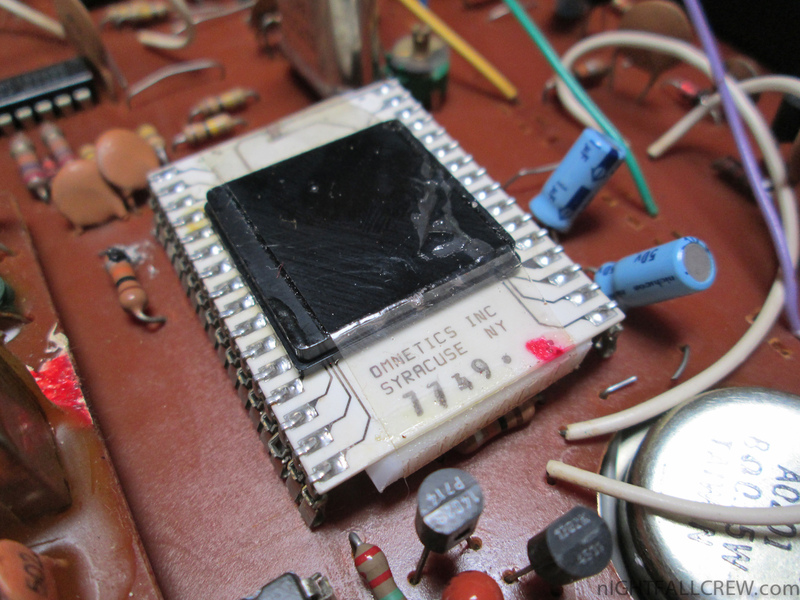 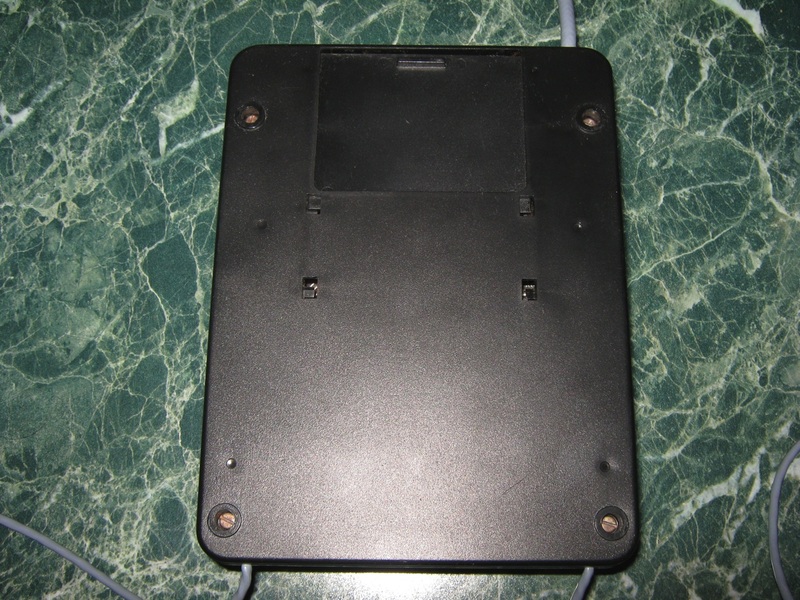 The core chip is the TMS-1965 from Texas Instruments. 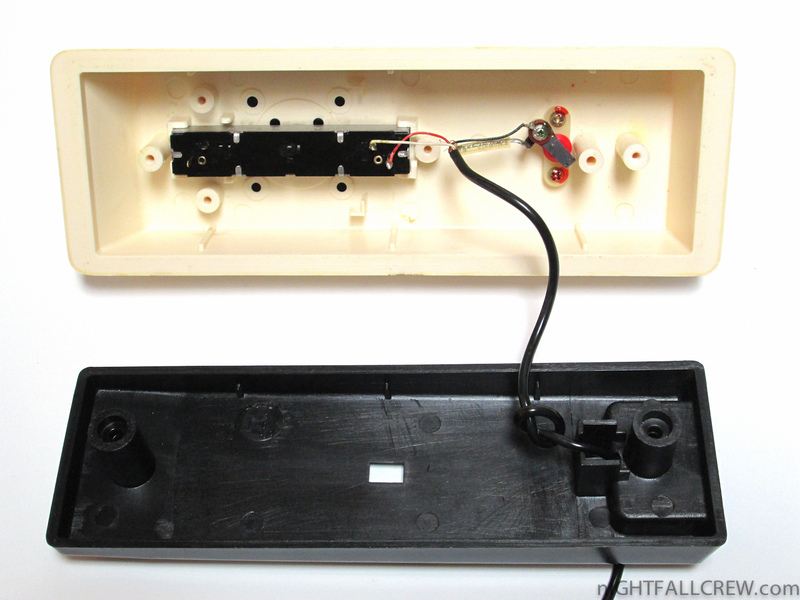 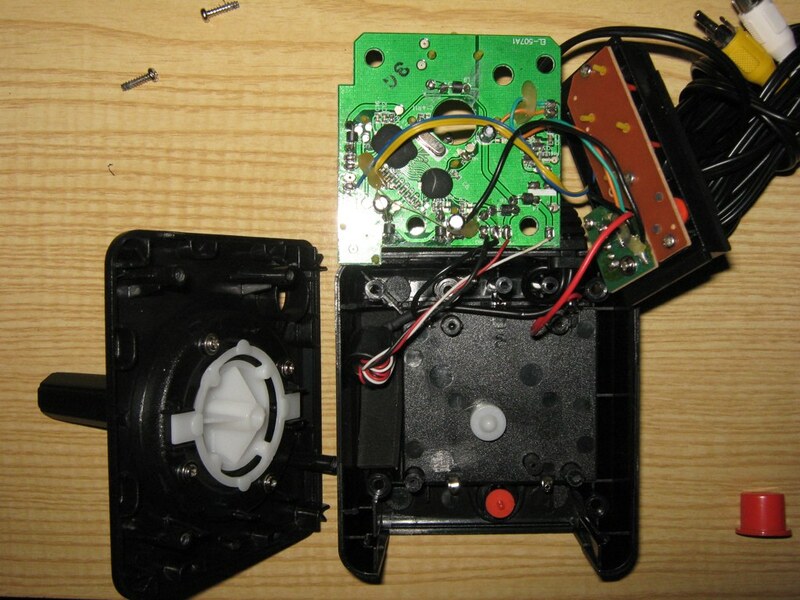 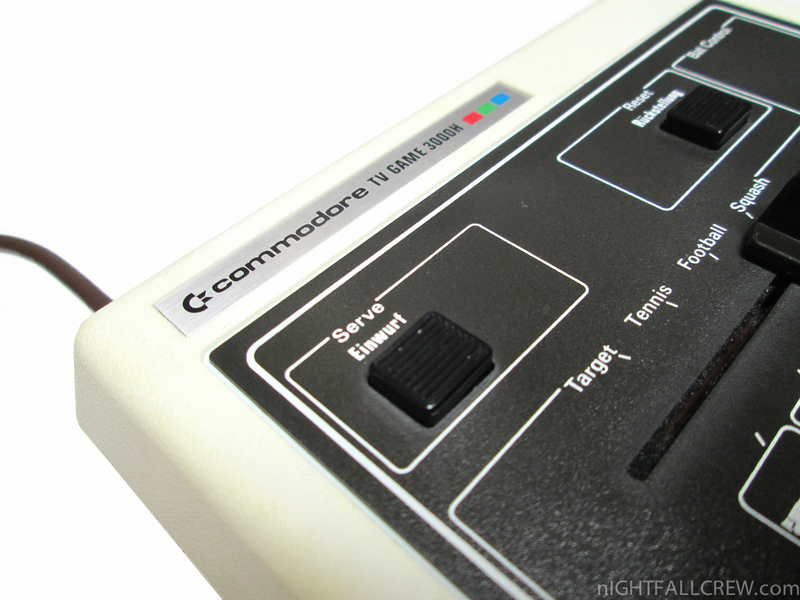 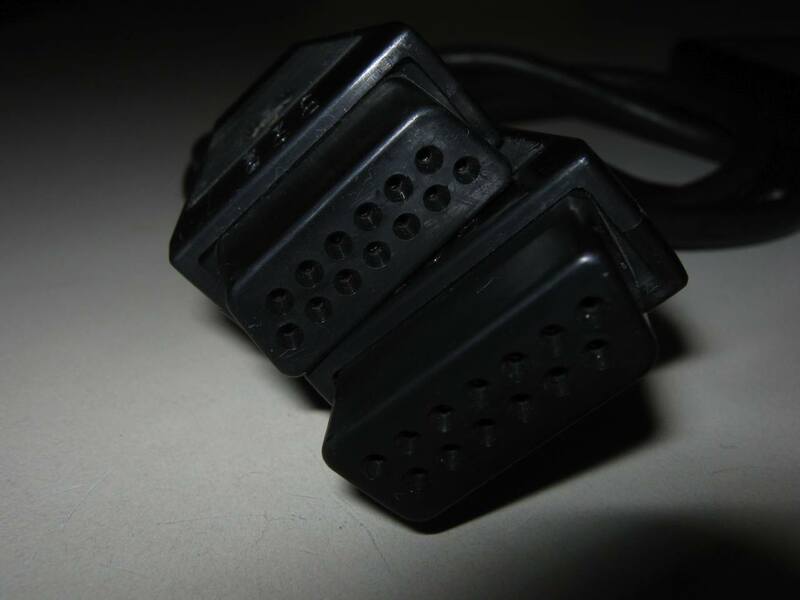 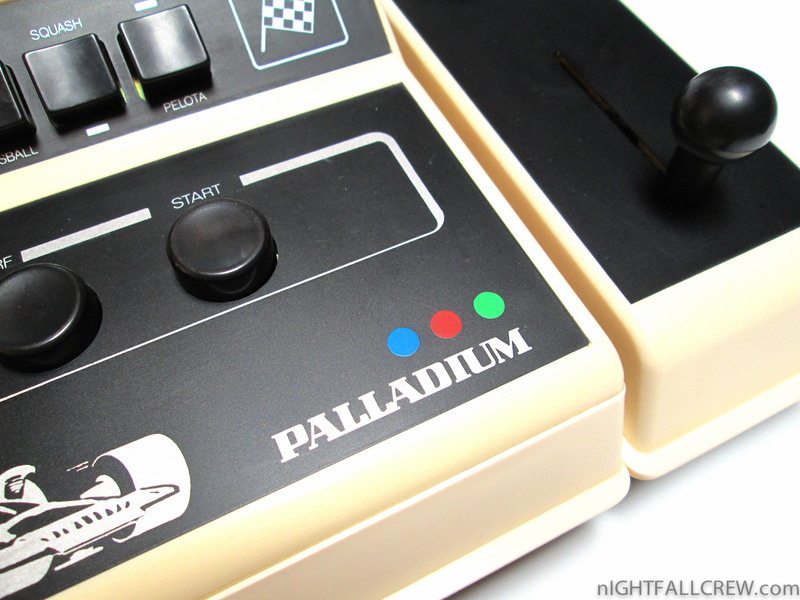 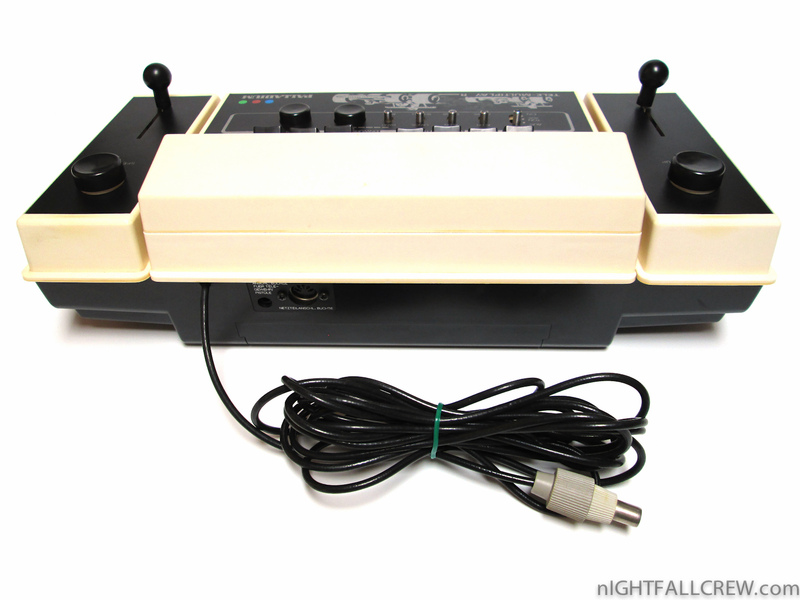 The paddles can be moved vertically with the sliders found on each controllers. 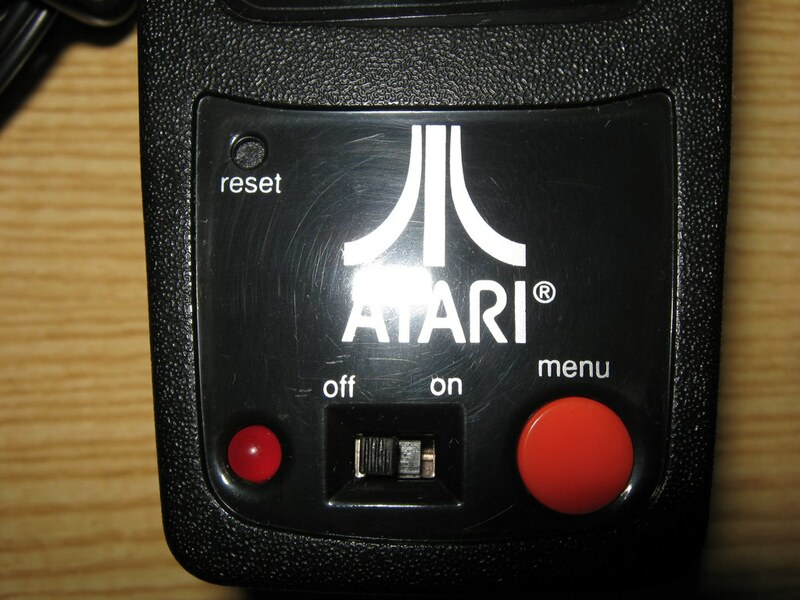 There are also two “speed-up” buttons on the controllers. 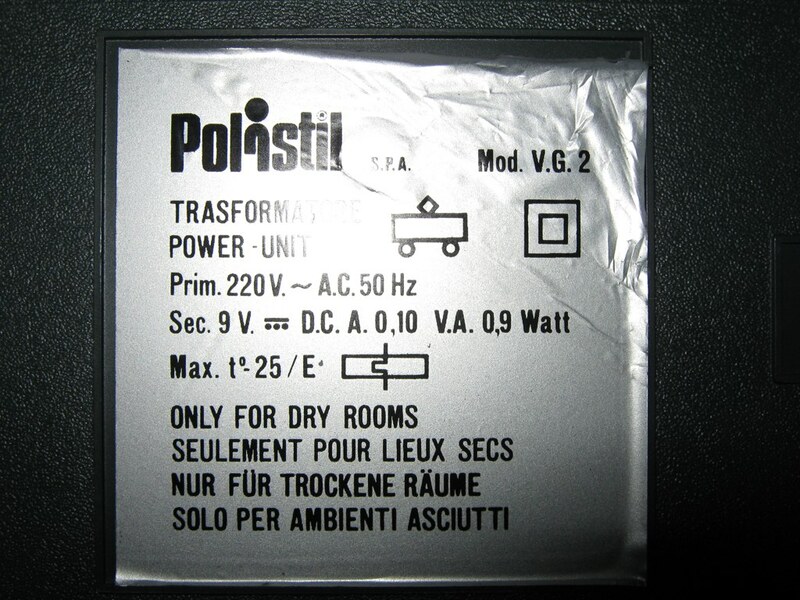 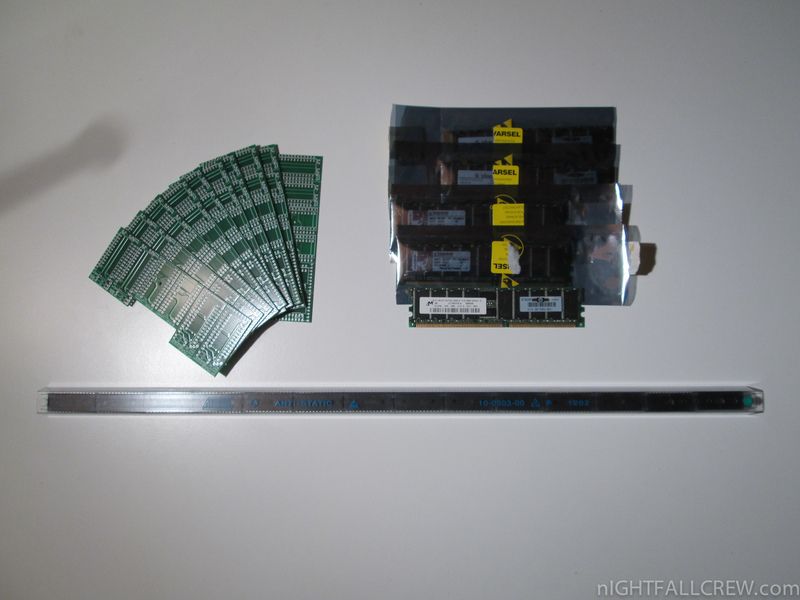 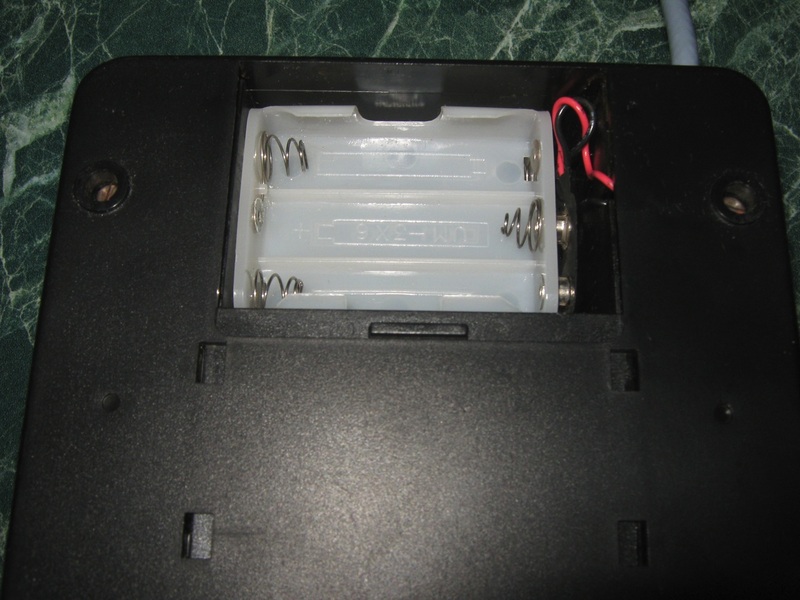 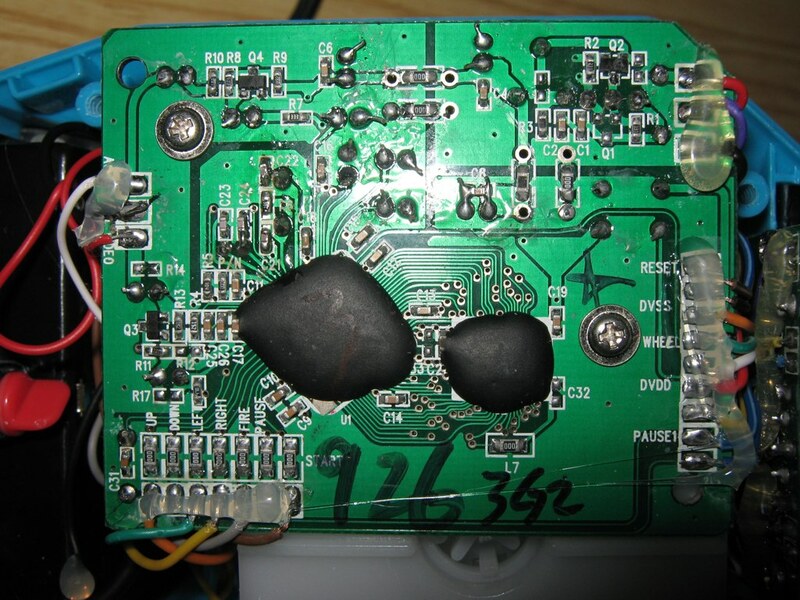 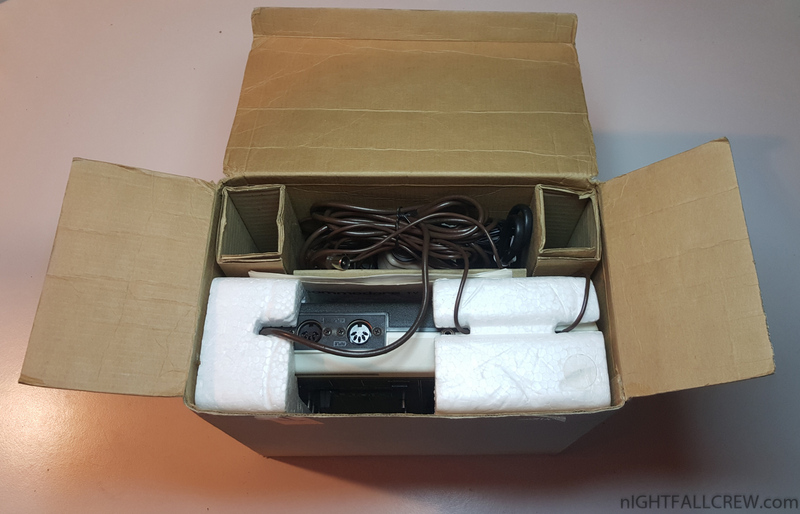 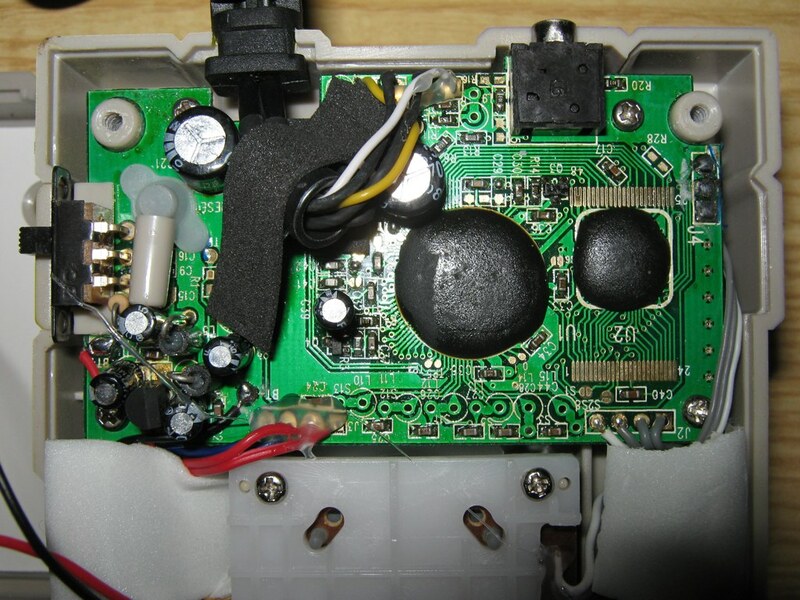 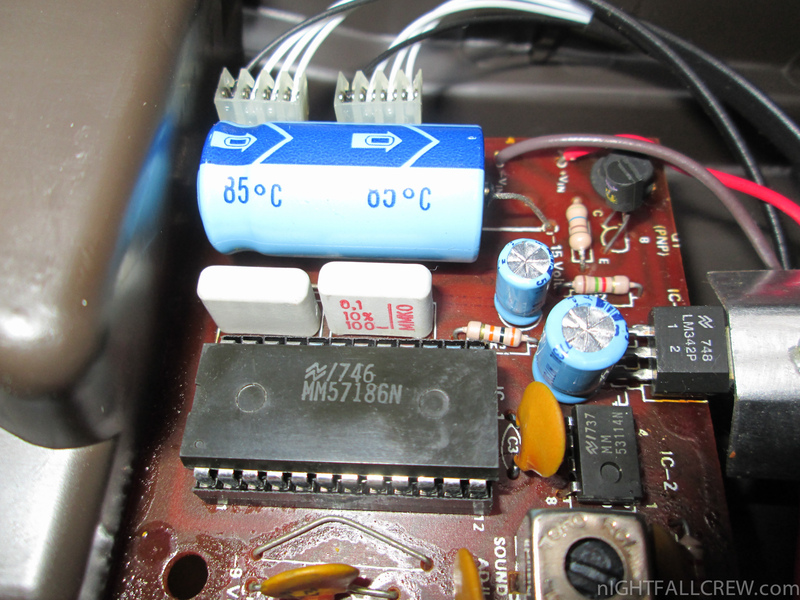 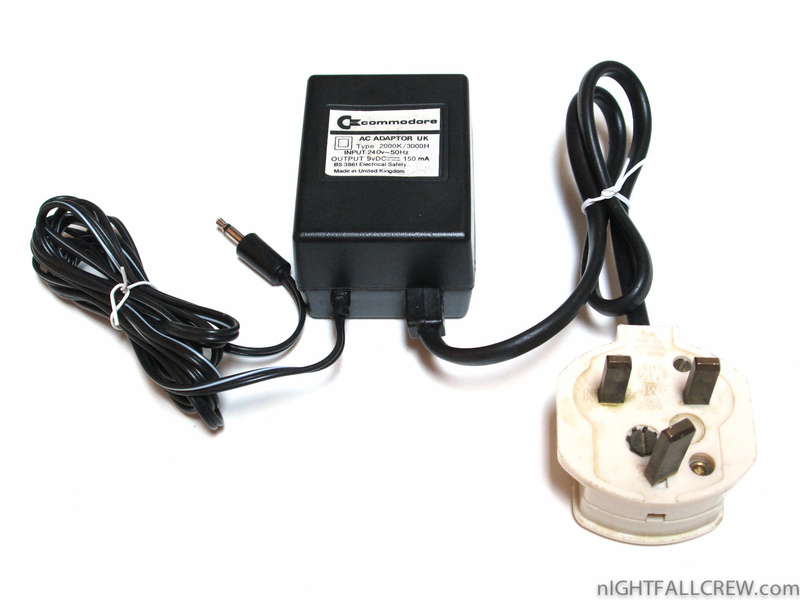 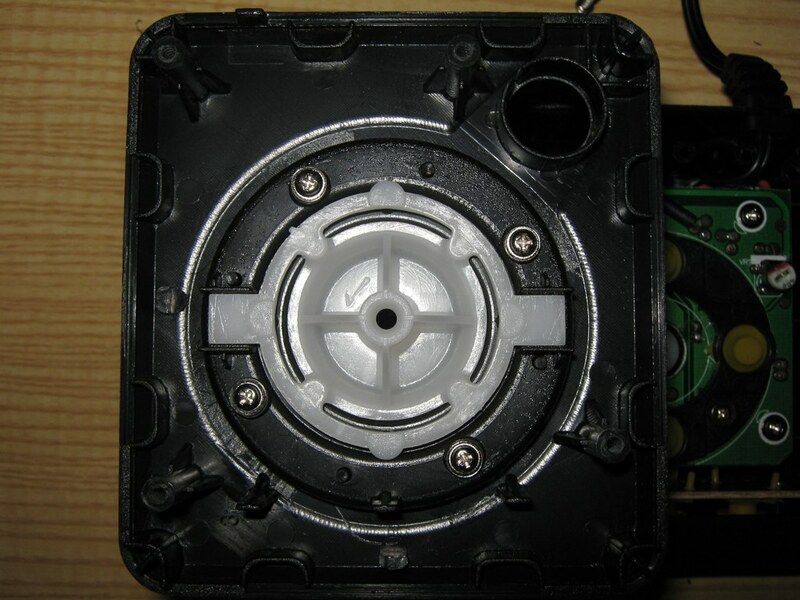 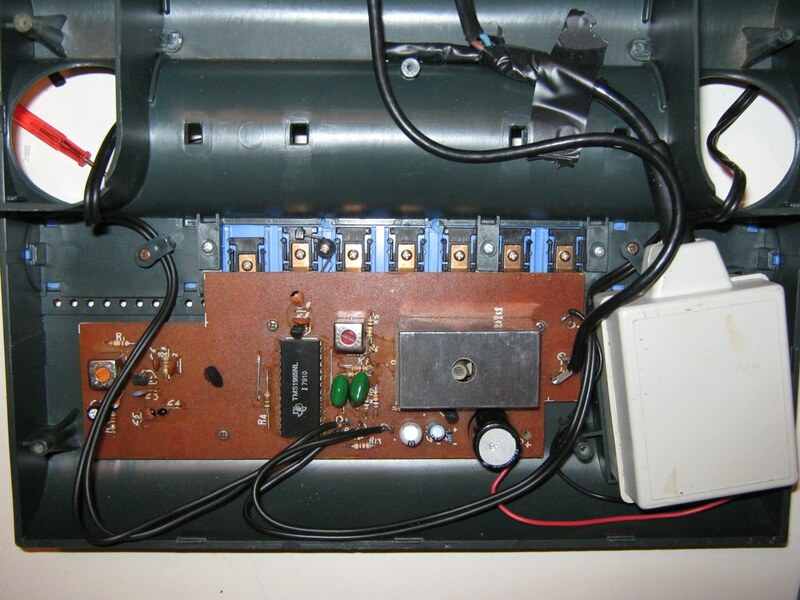 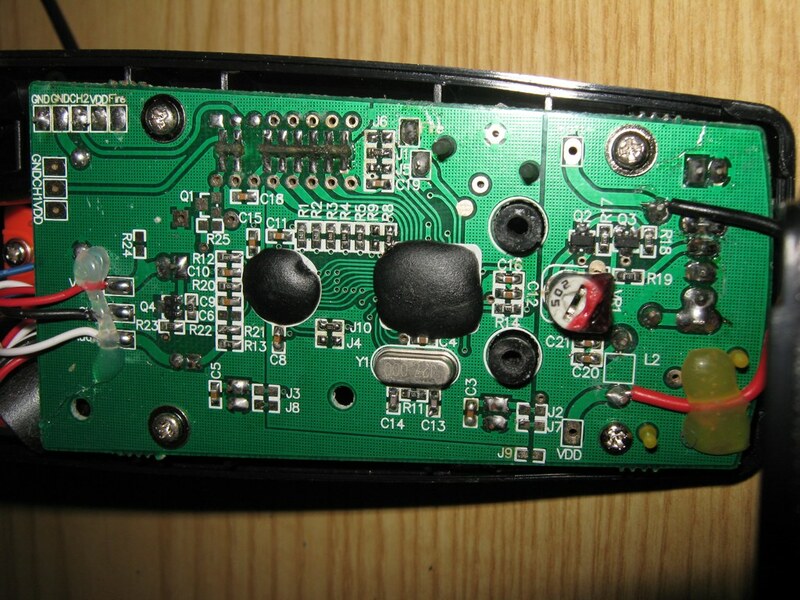 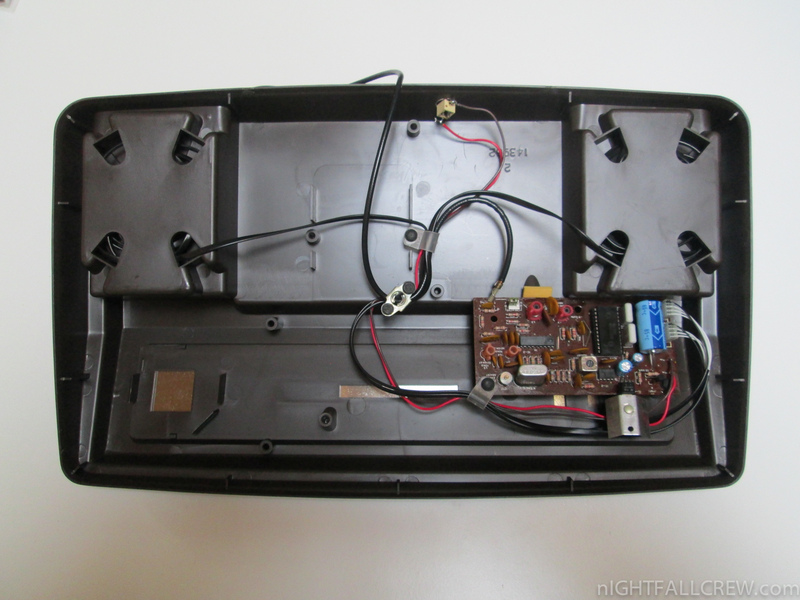 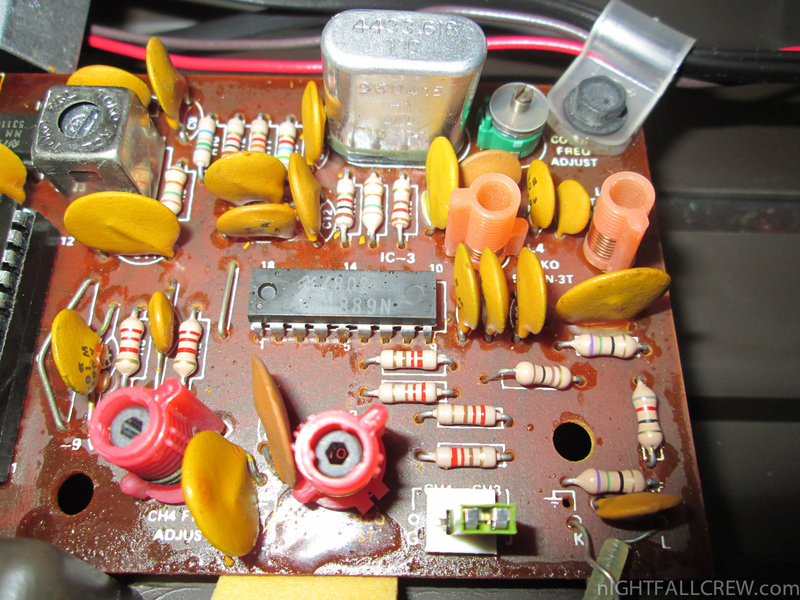 The problem of the power supply has been fixed by replacing the transitor CS 9013 that is used in a very bizarre way to lower the voltage from 9v to 6.85v. 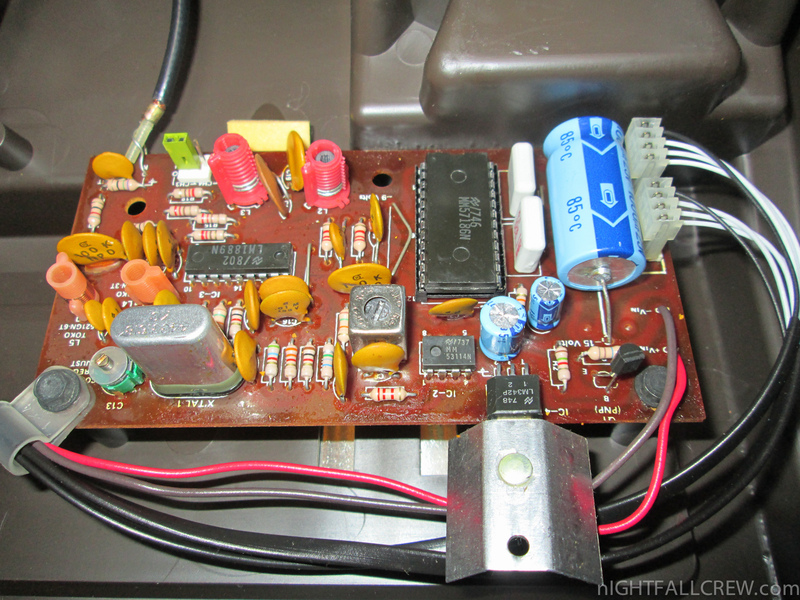 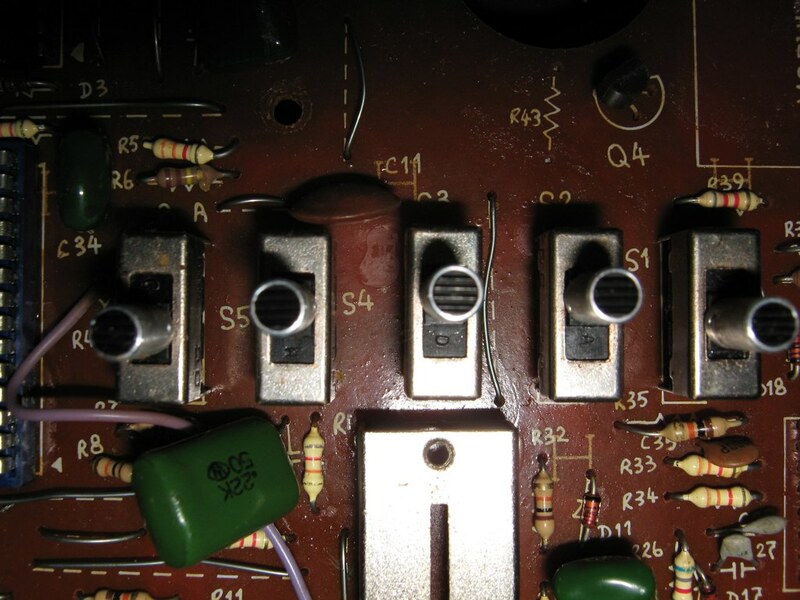 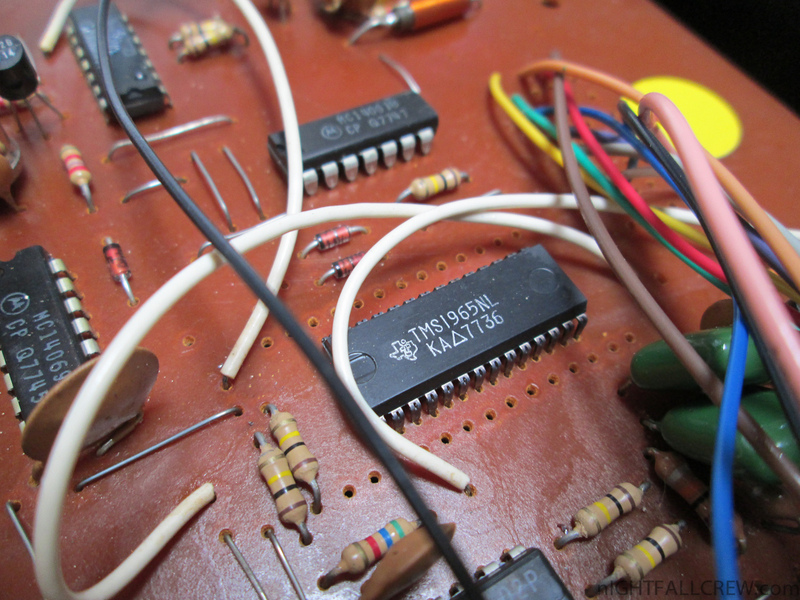 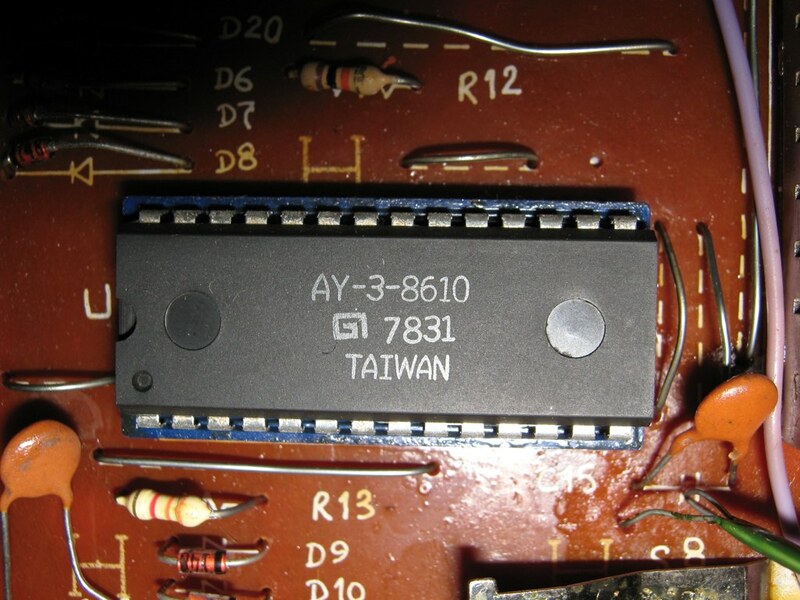 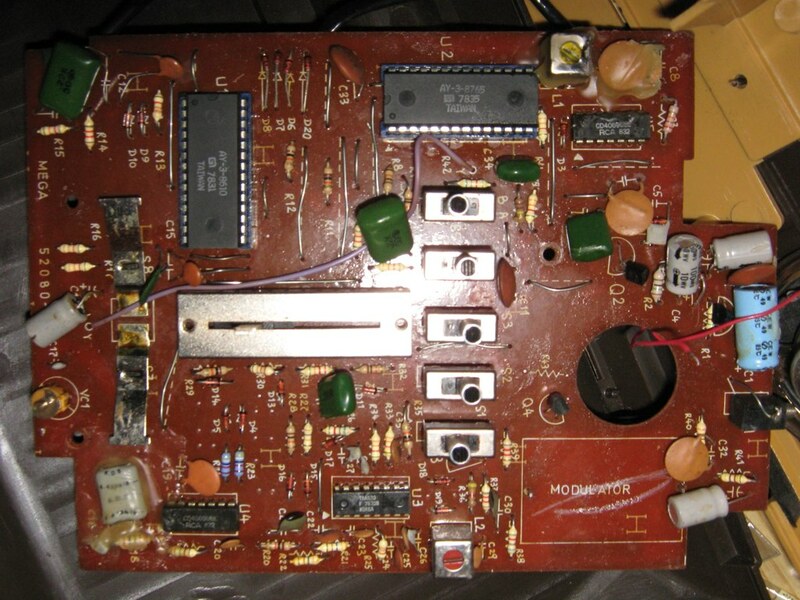 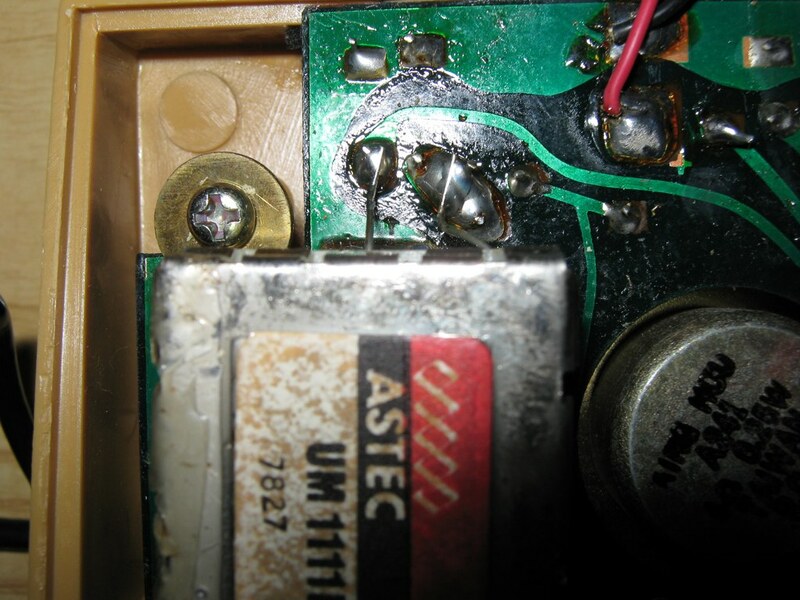 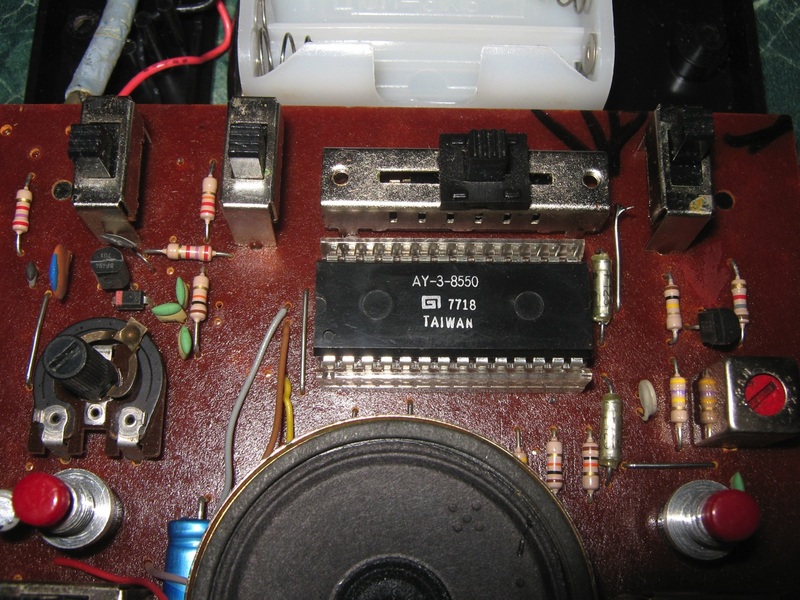 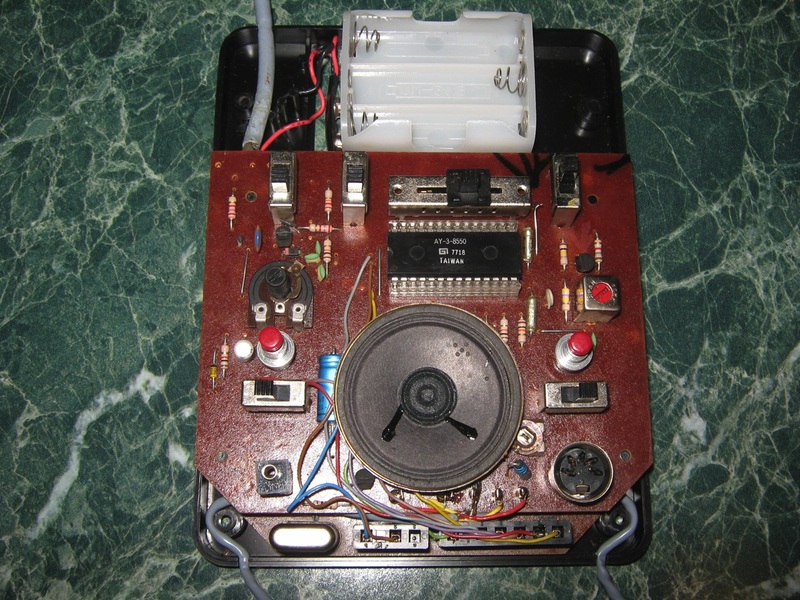 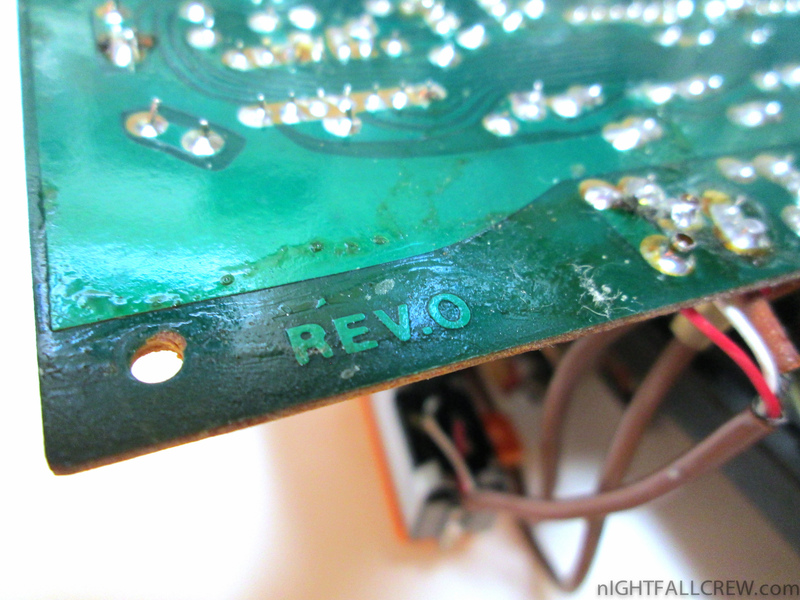 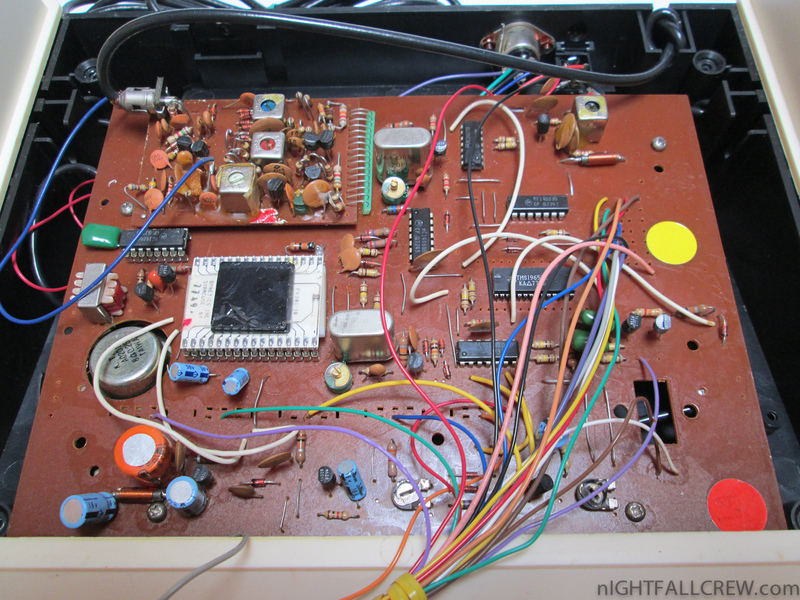 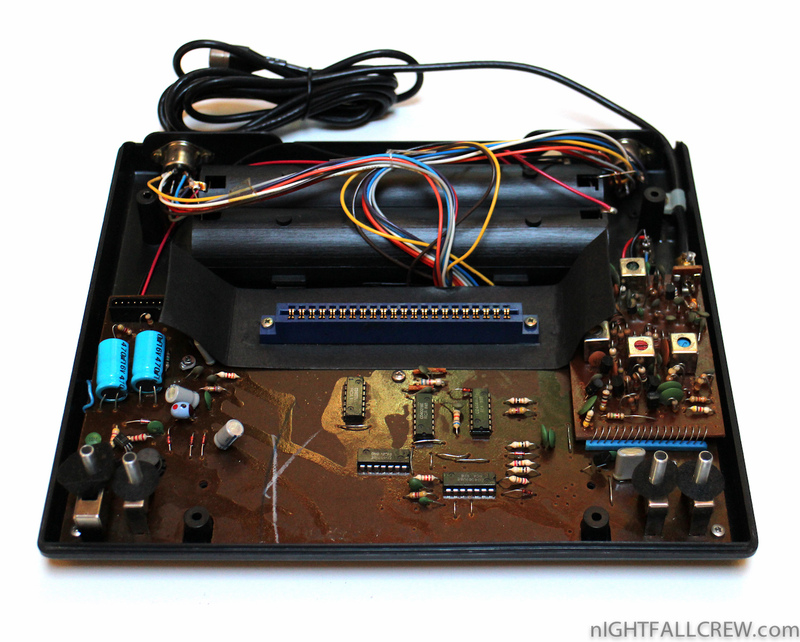 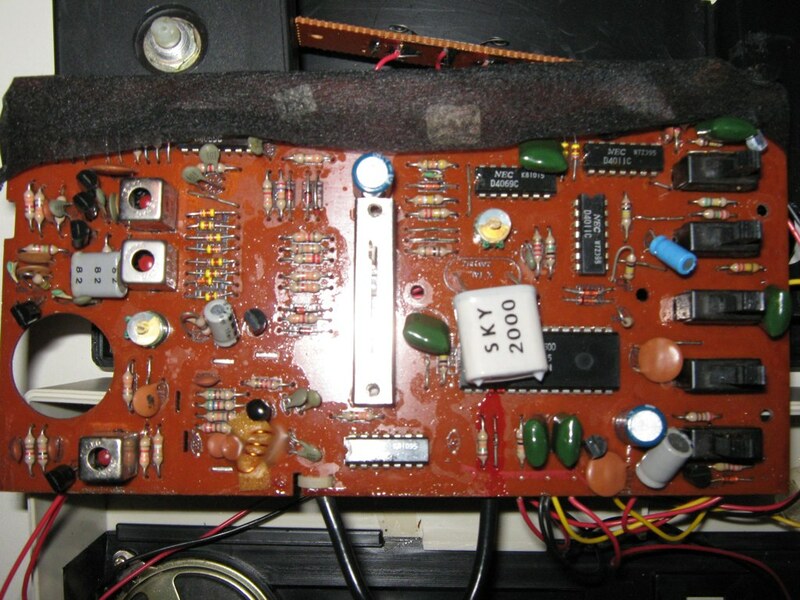 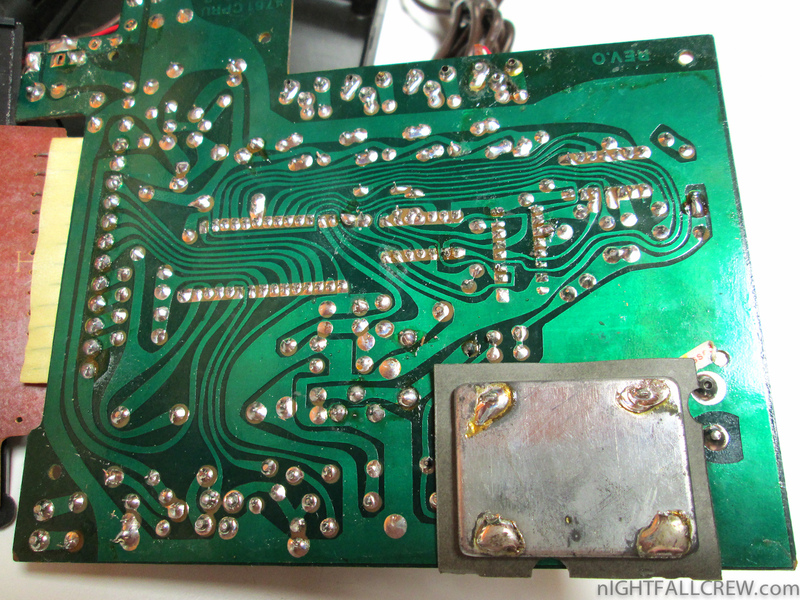 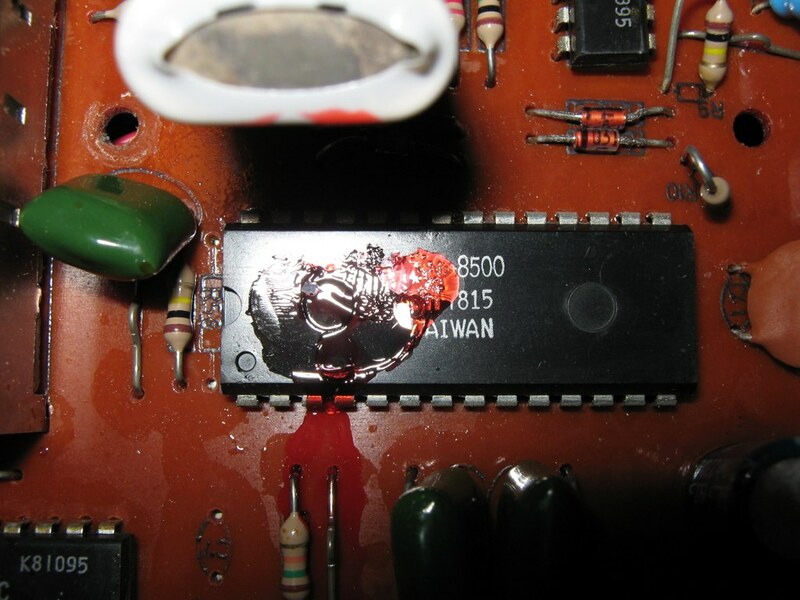 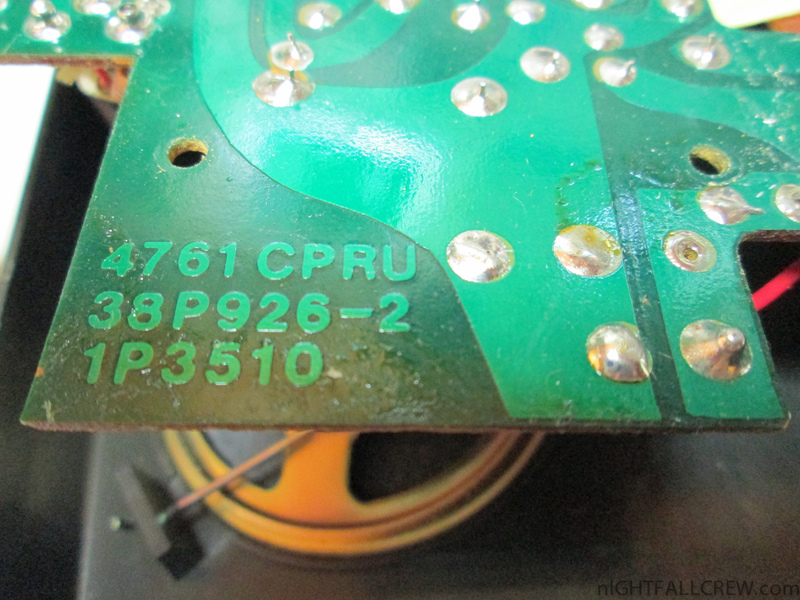 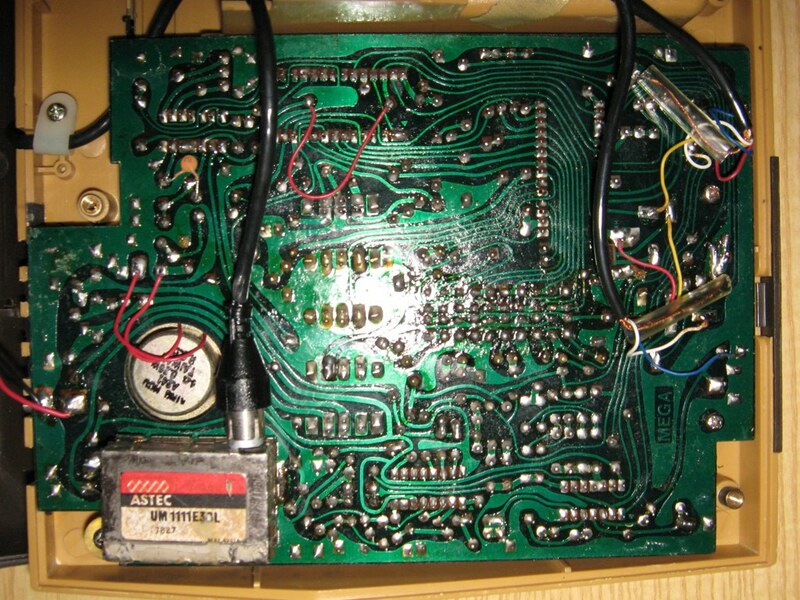 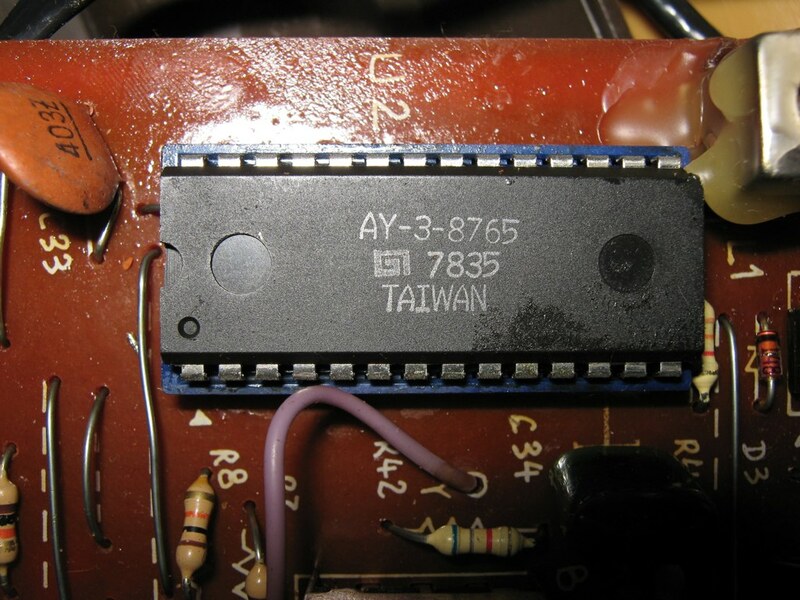 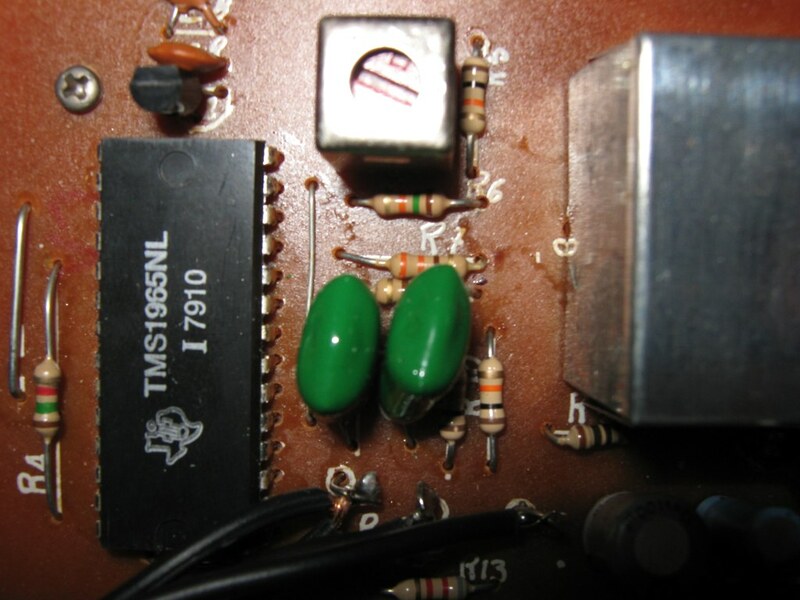 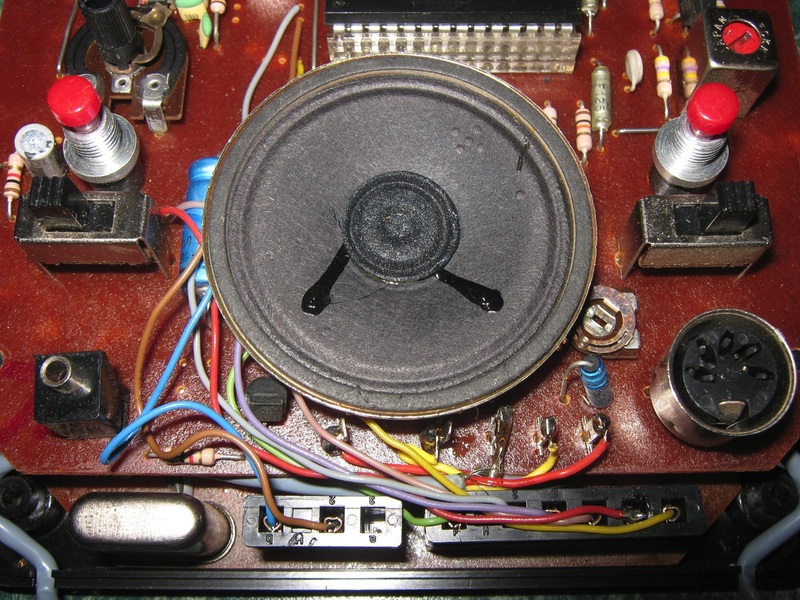 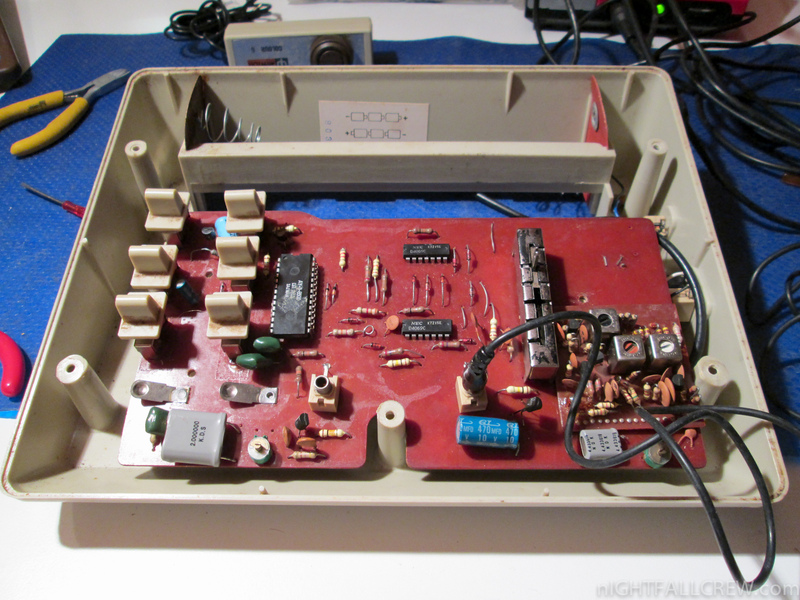 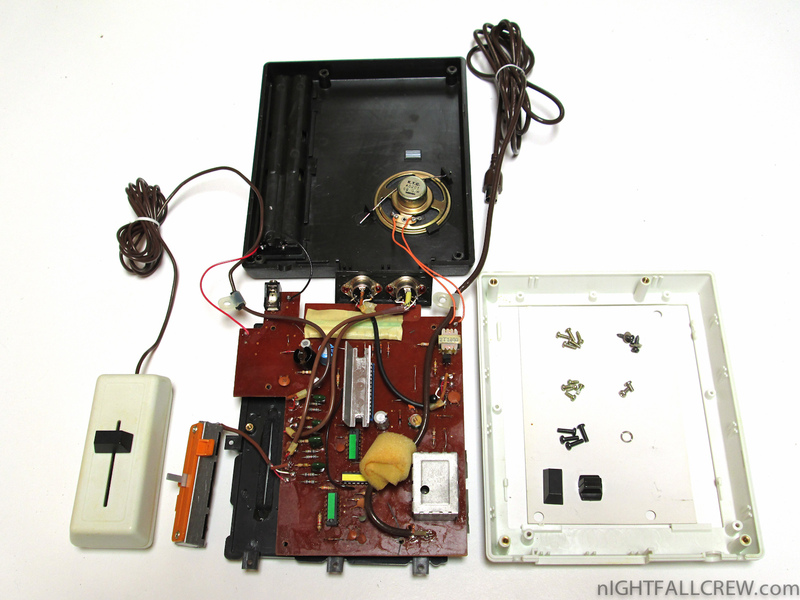 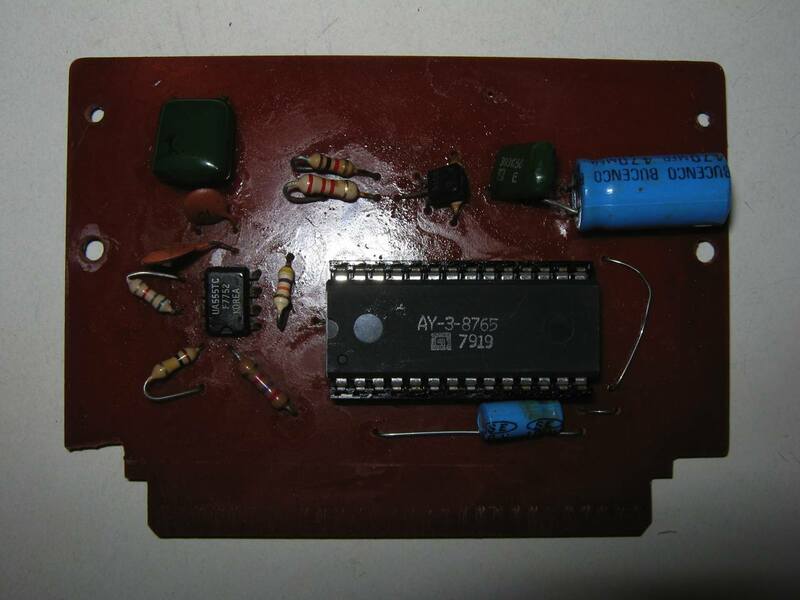 The problem of the audio was always caused by a transistor CS 9013 brutally in short circuit. 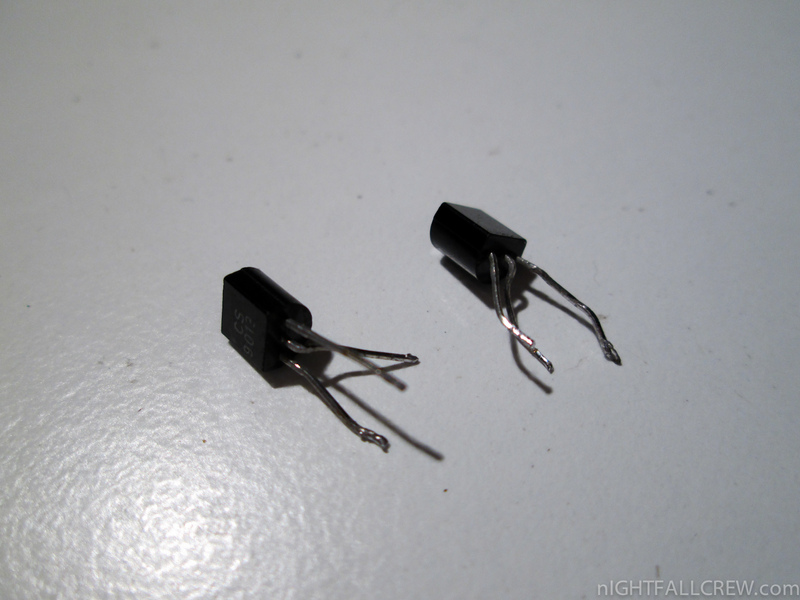 In this case, the transistor is used like a amplifier. 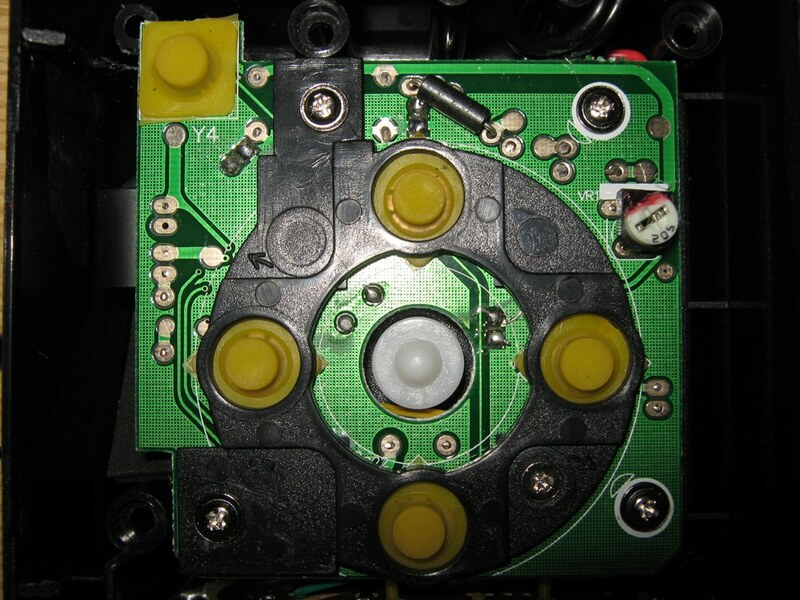 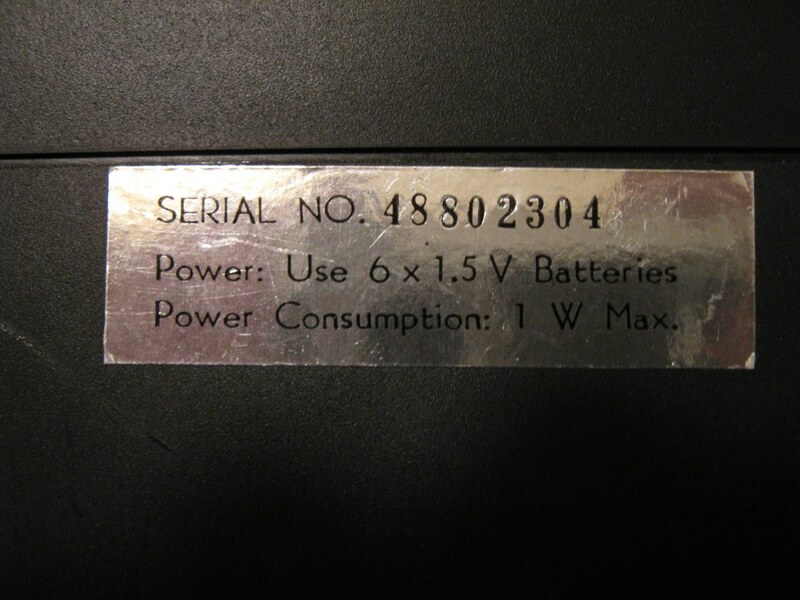 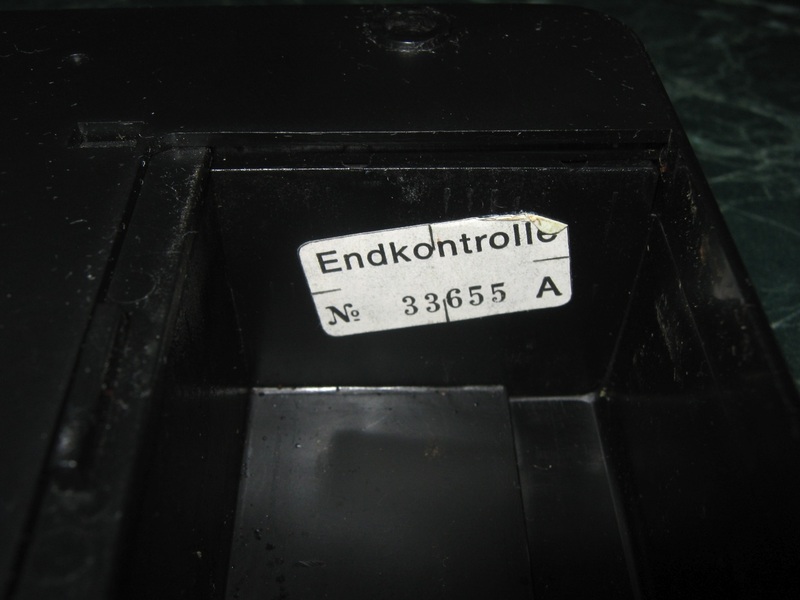 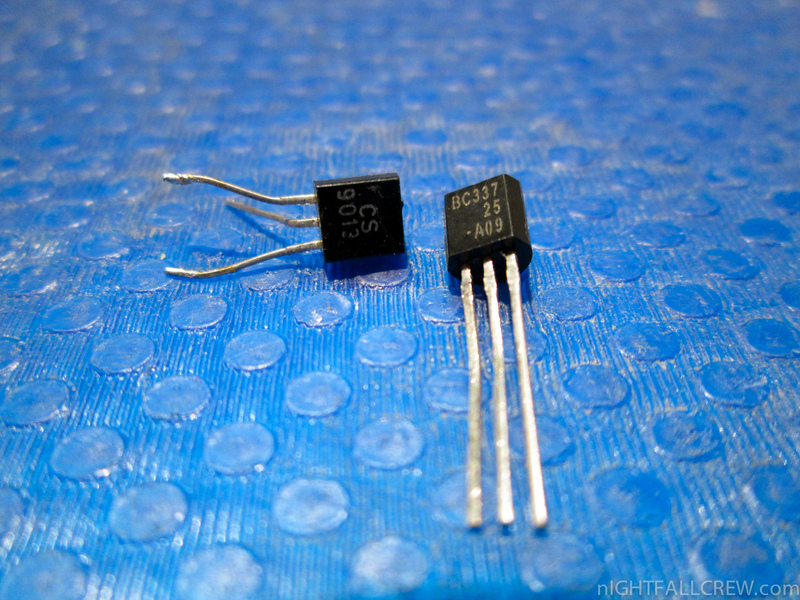 The transistor CS 9013 can be replaced with a BC 337 that it’s equivalent. 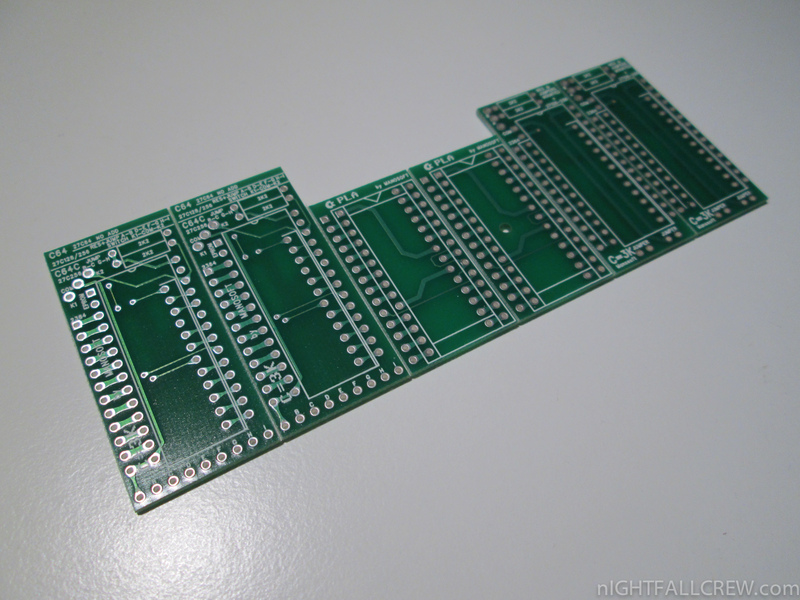 PCB Multi Kernel C64/C64C Switch. 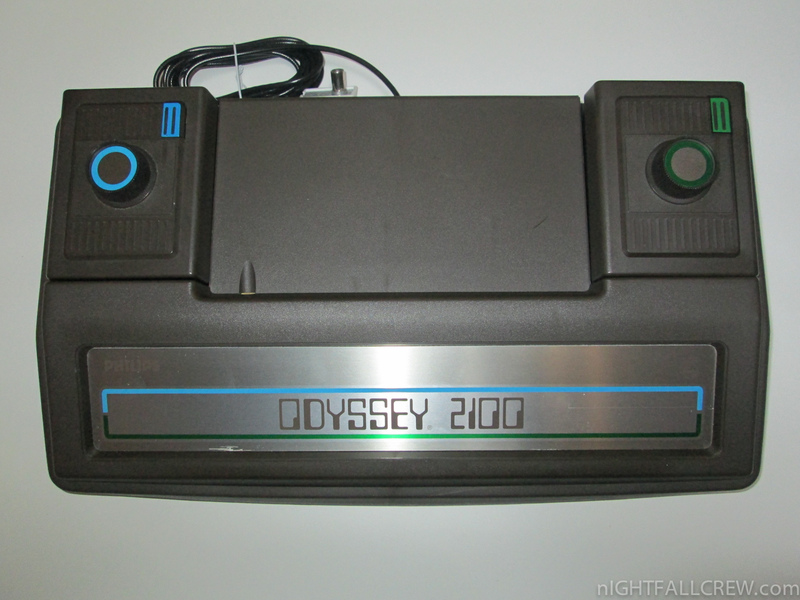 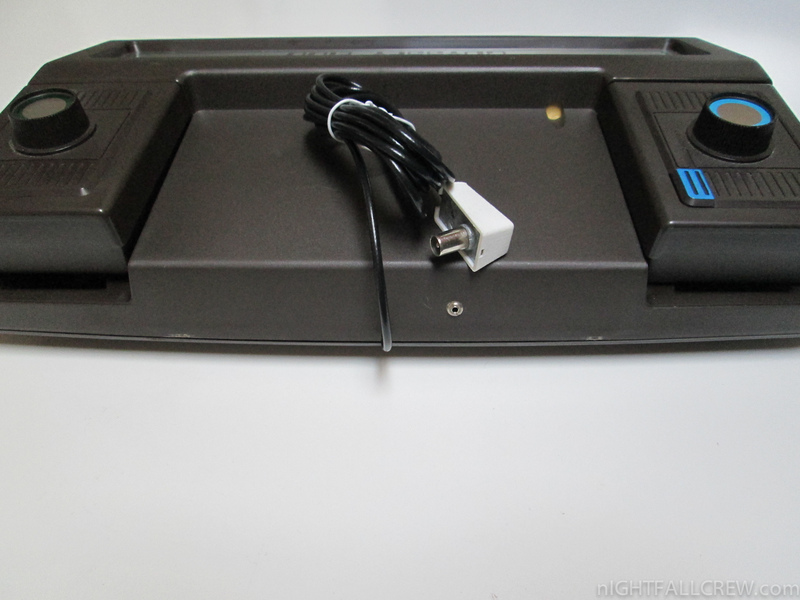 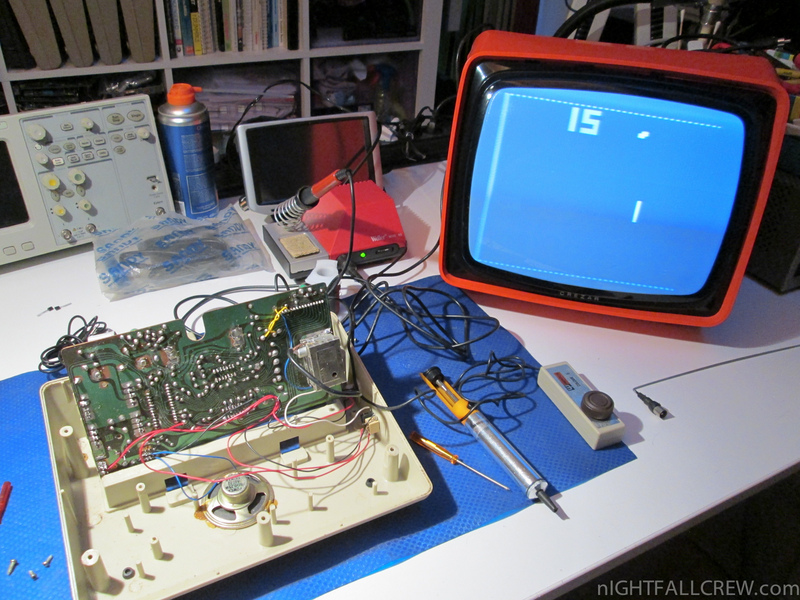 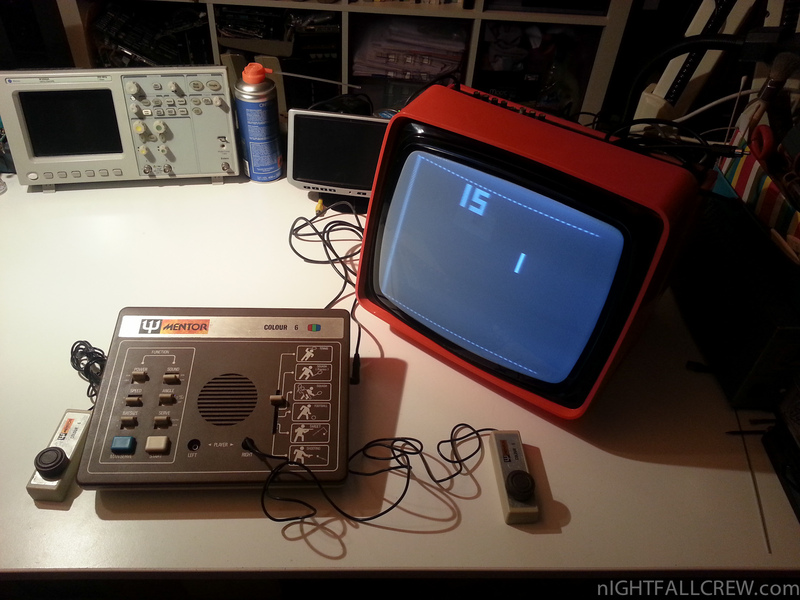 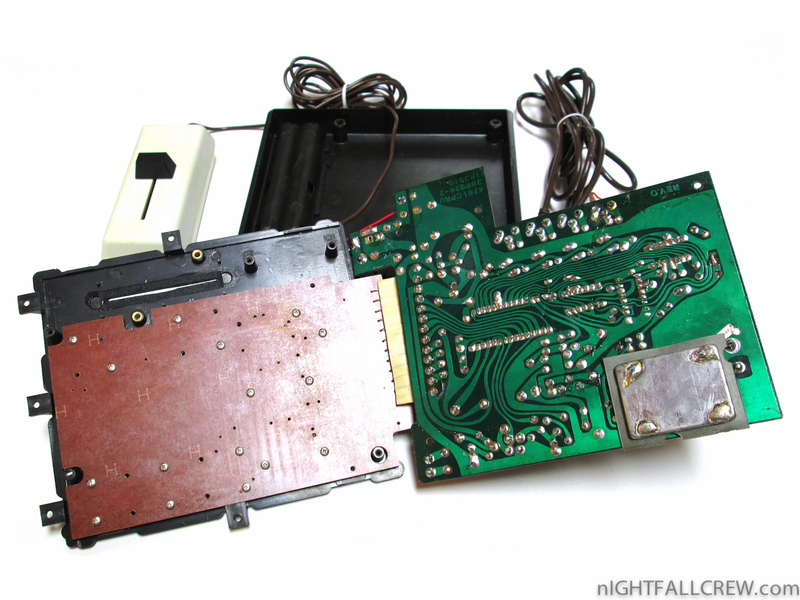 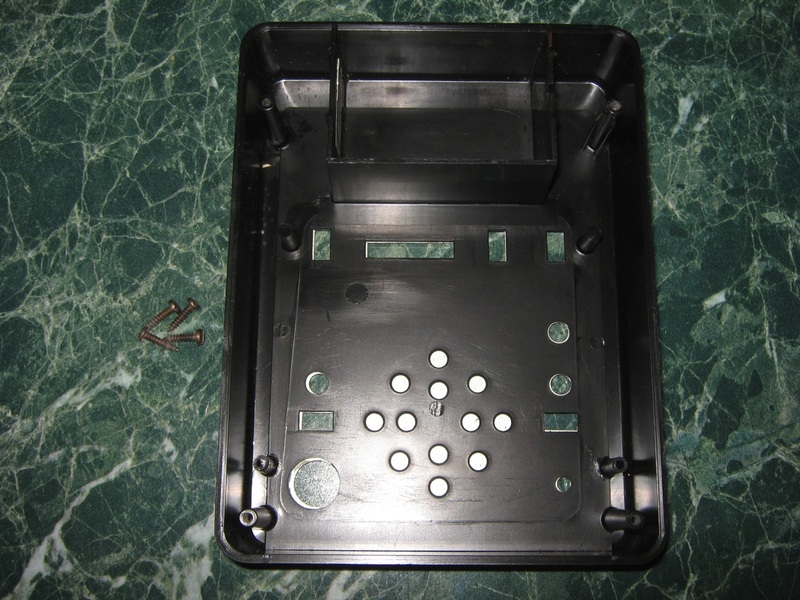 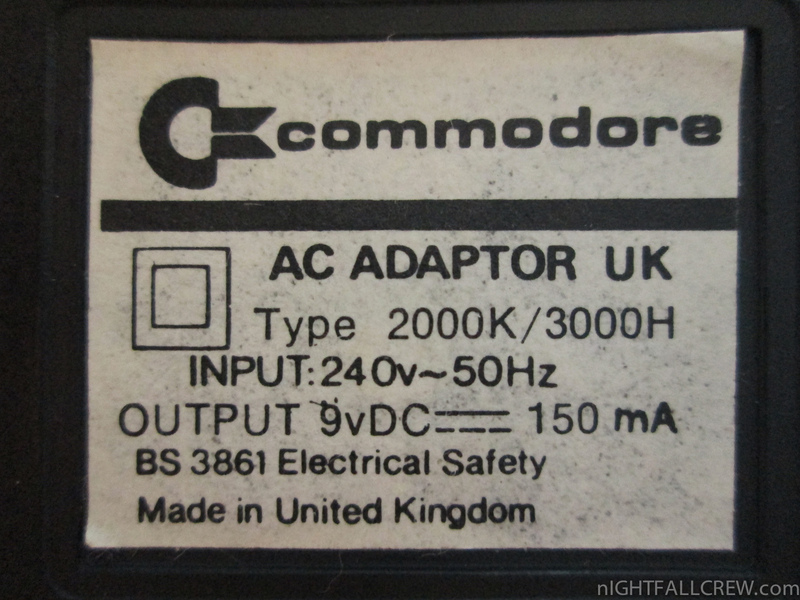 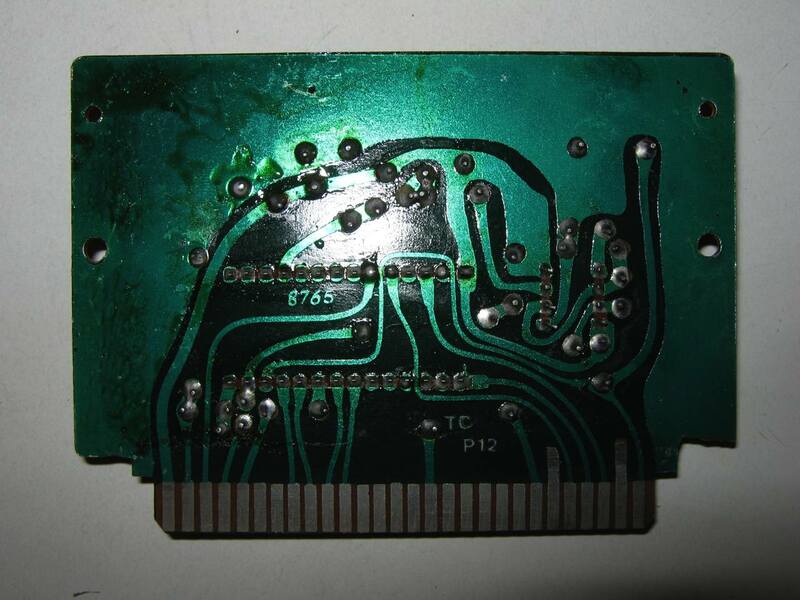 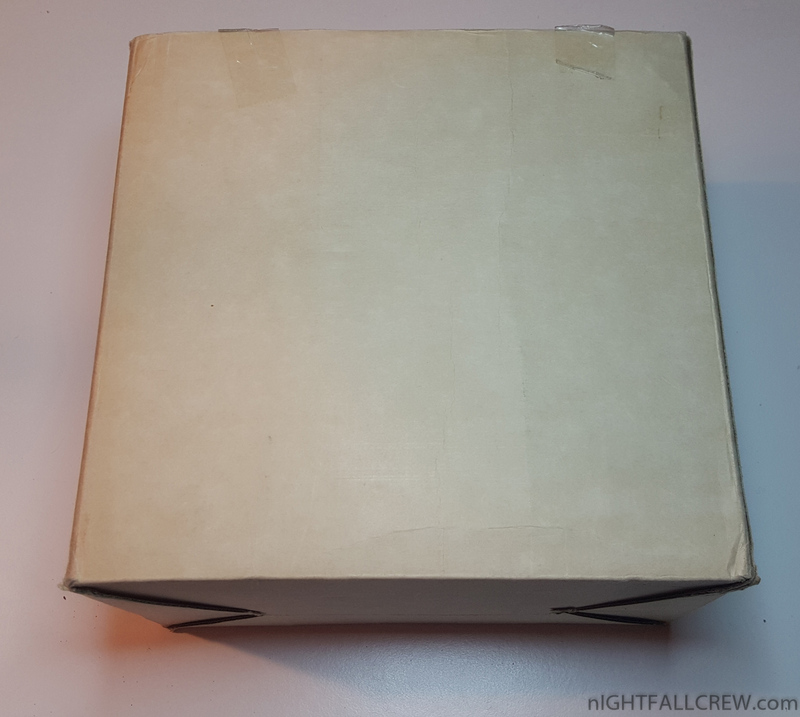 1 x Facemaker Cartridge for Atari XE XL 800. 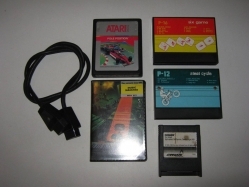 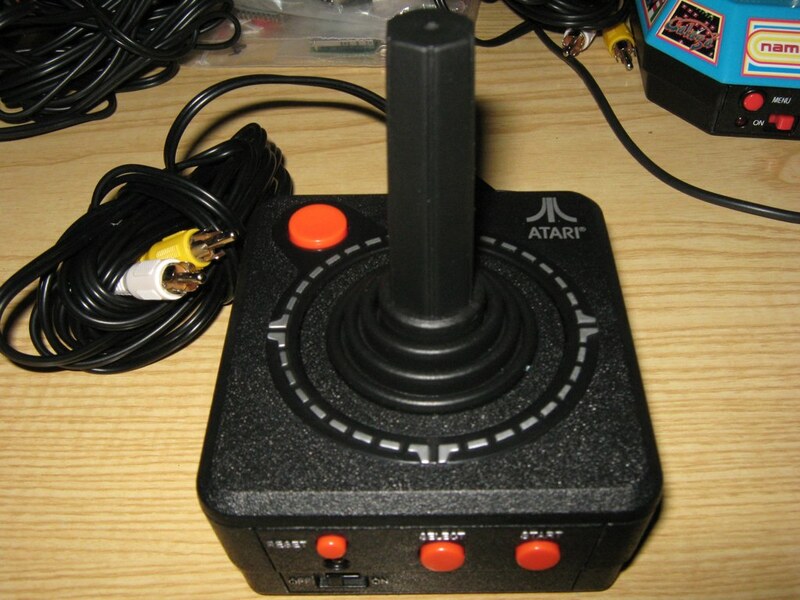 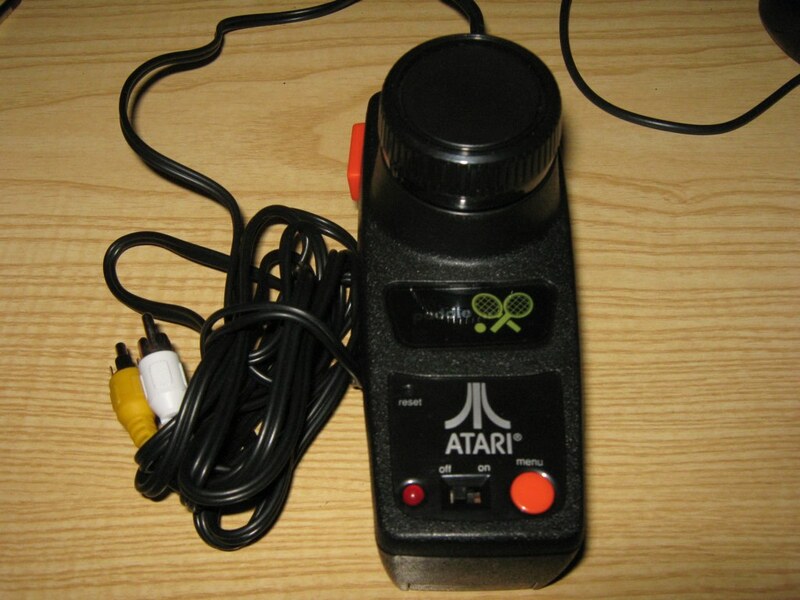 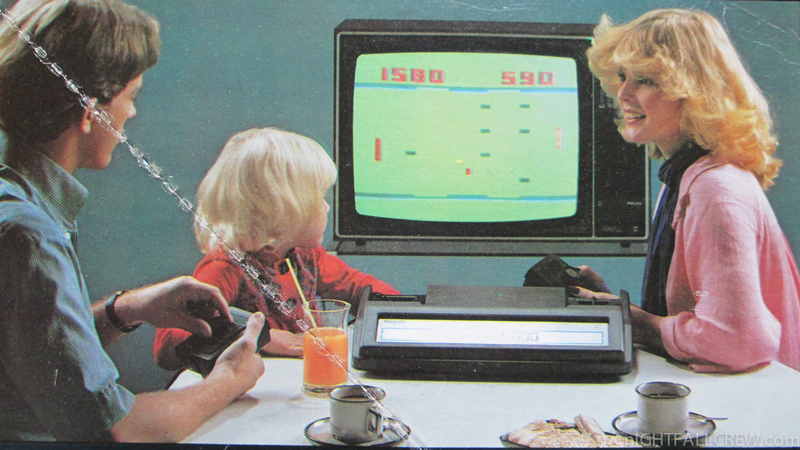 1 x Pole Position for Atari 2600. 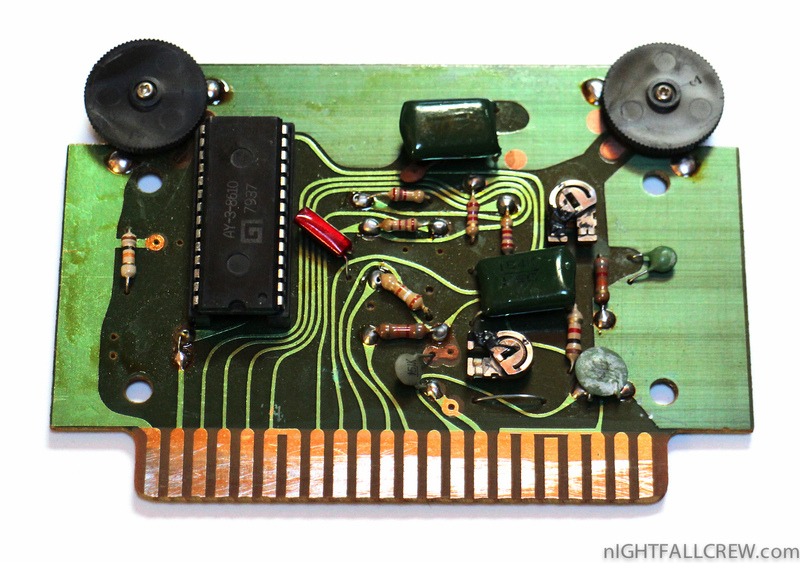 1 x Music Maestro Cassette for MSX 64k. 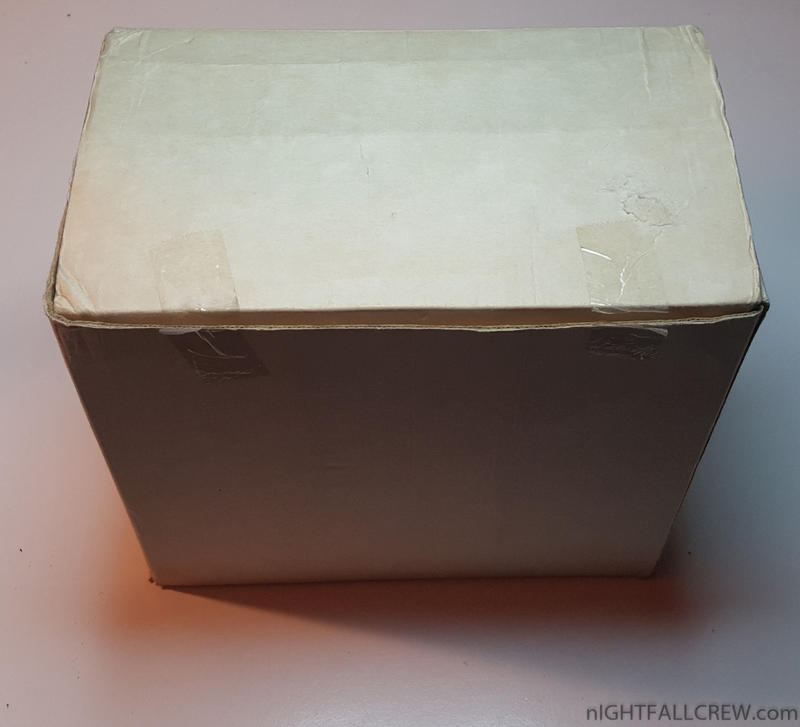 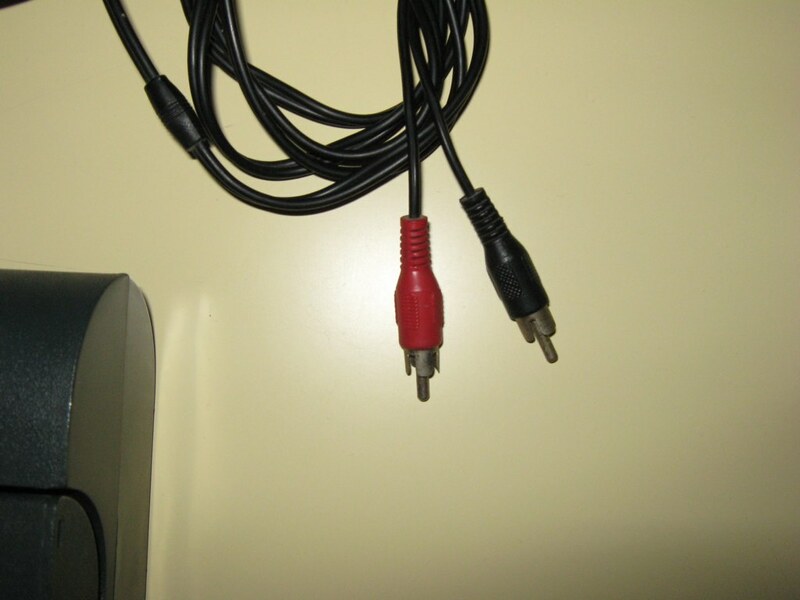 1 x Unknown Cable Rare SIO Cable for ATARI. 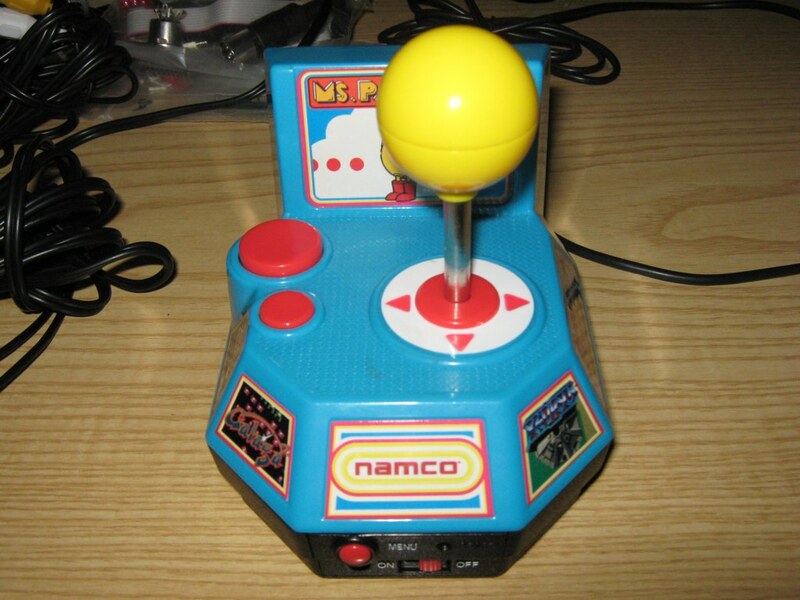 Jakks Ms. Pac-Man TV Game: Galaga, Mappy, Pole-Position, Xevious, Ms. Pac-Man. 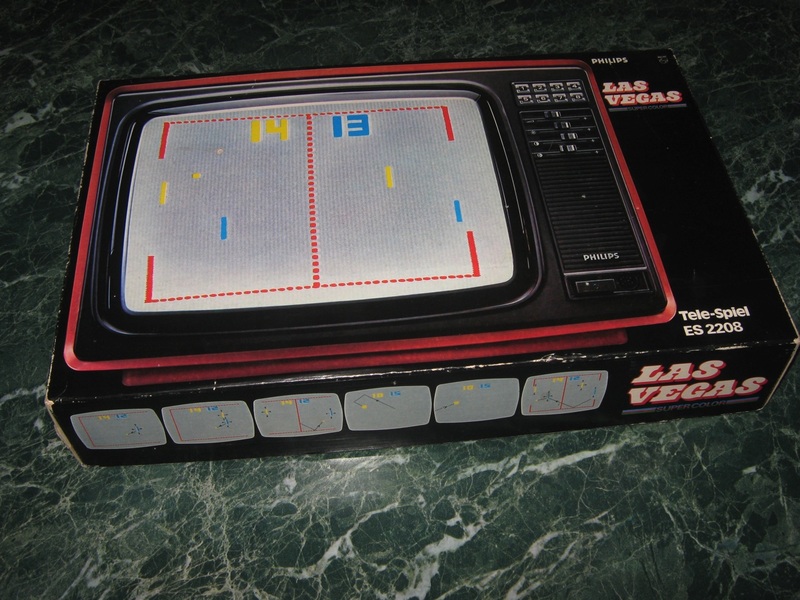 Jakks Atari Classic: Gravitar, Asteroids, Real Sports Volleyball, Centipede, Adventure, Pong, Missile Command, Breakout, Yars’ Revenge, Circus Atari. 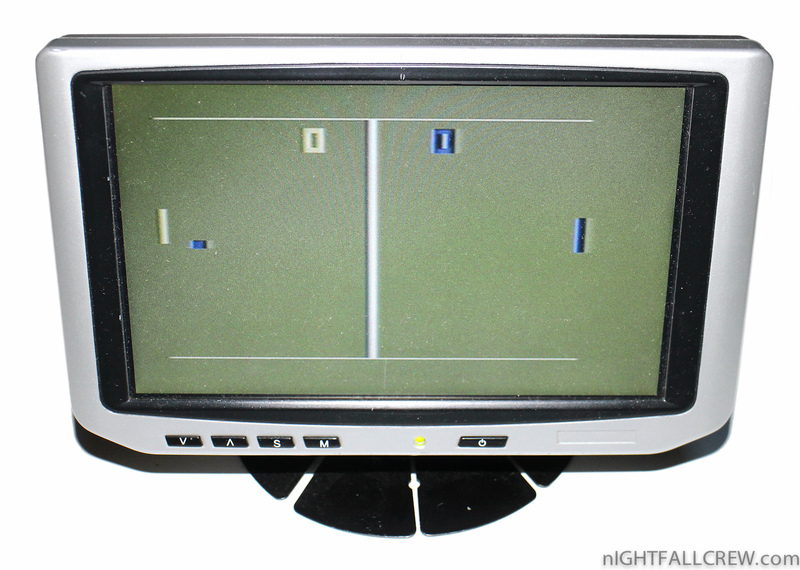 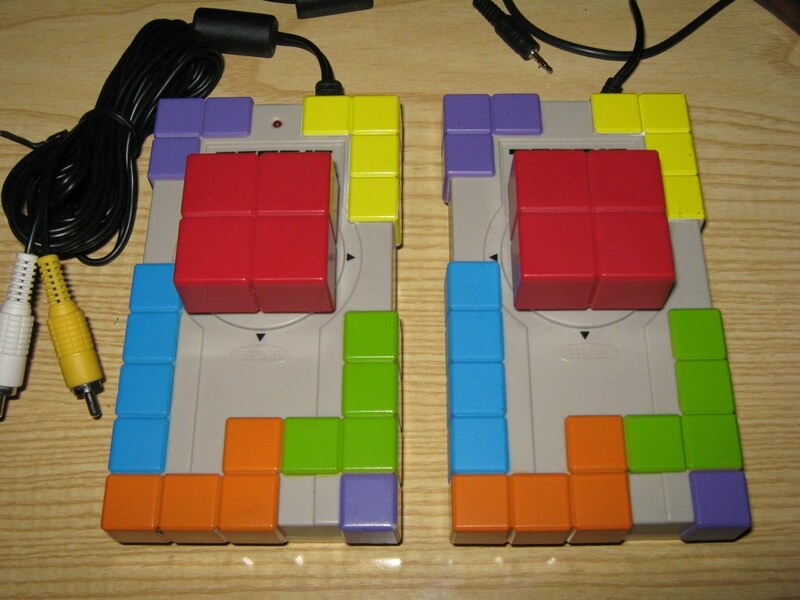 RadicaUK Tetris: This special TV arcade game contains not just the original version of Tetris, but also fellow variants Garbage, Timed, Hot Line and Battle Tetris. 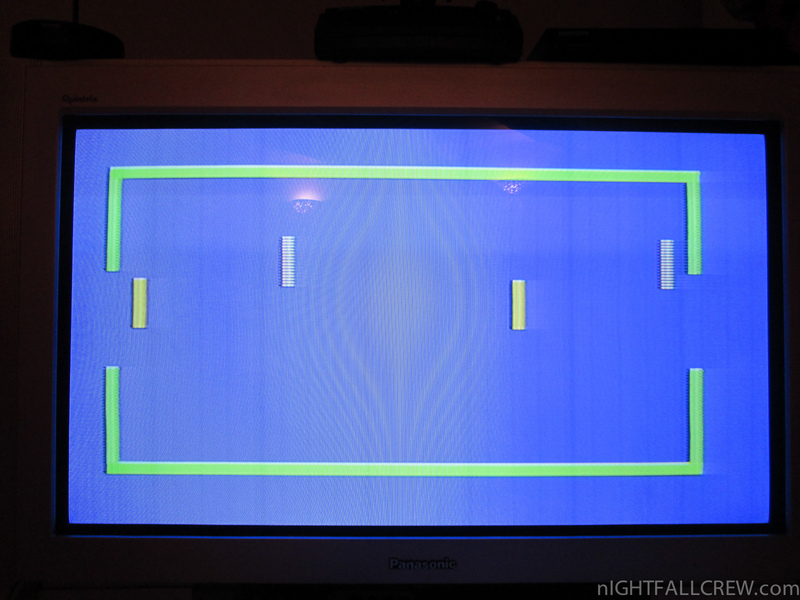 There’s even a the option for a two player game for some head to head action. 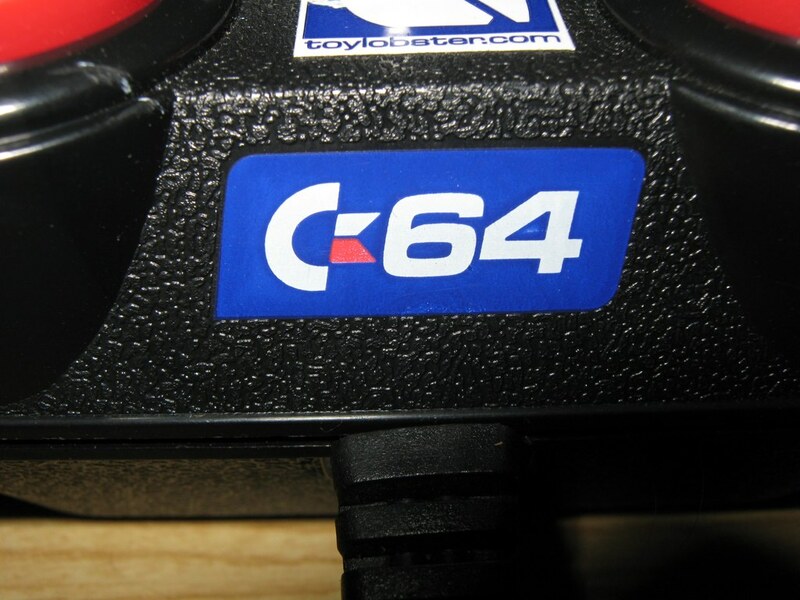 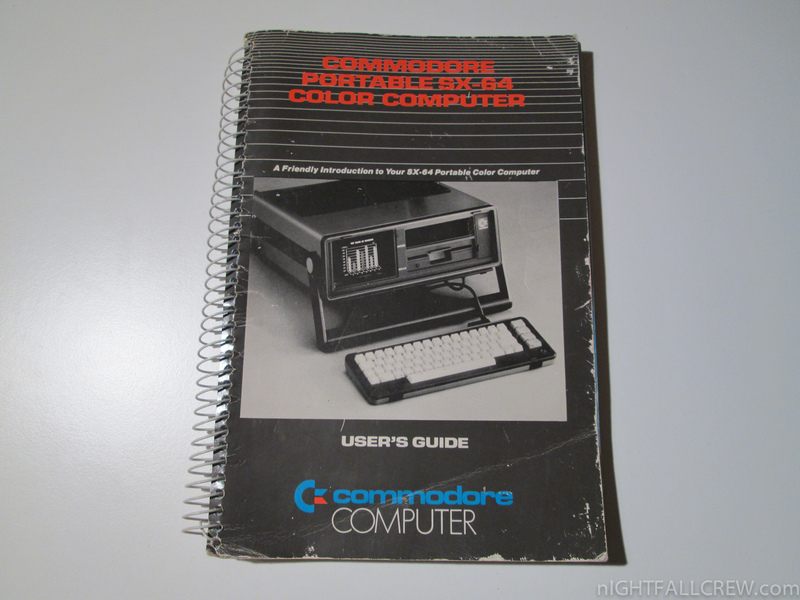 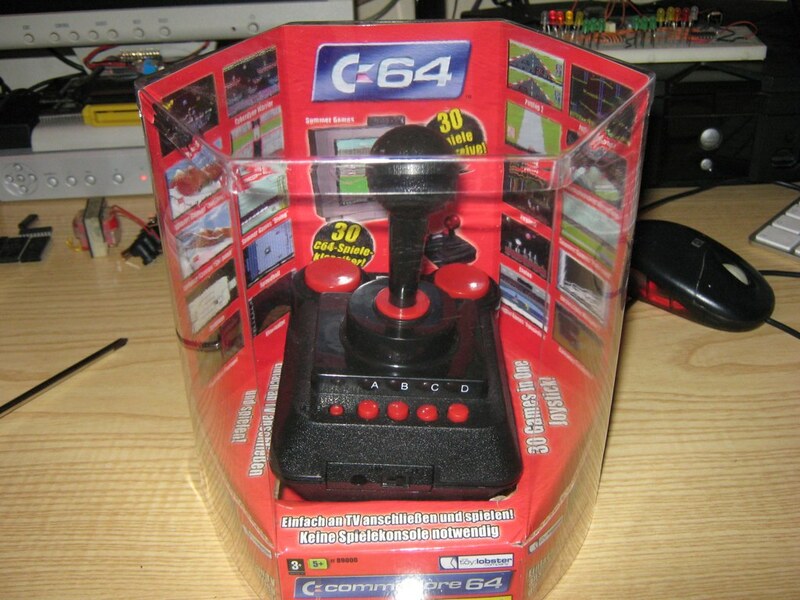 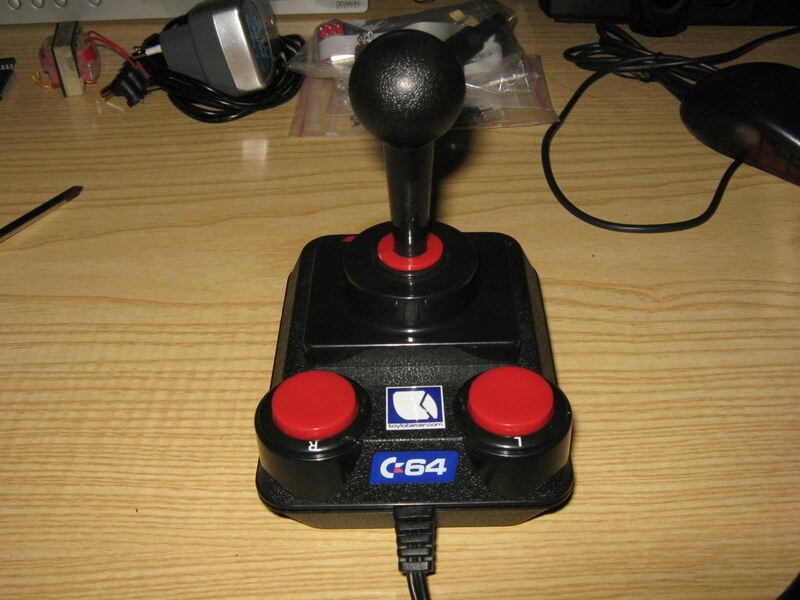 C64 DTV: AlleyKat, California Games, Championship Wrestling, Cyberdyne Warrior, Cybernoid, Cybernoid II, Eliminator, Exolon, Firelord, Gateway to Apshai, Head The Ball, Impossible Mission I,Impossible Mission II, Jumpman Junior, Marauder, Maze Mania, Mission Impossible, Nebulus, Netherworld, Paradroid, Pitstop, Pitstop II, Rana Rama, Speedball, Summer Games, Super Cycle, Sword of Fargoal, Uridium, Winter Games, Zynaps. 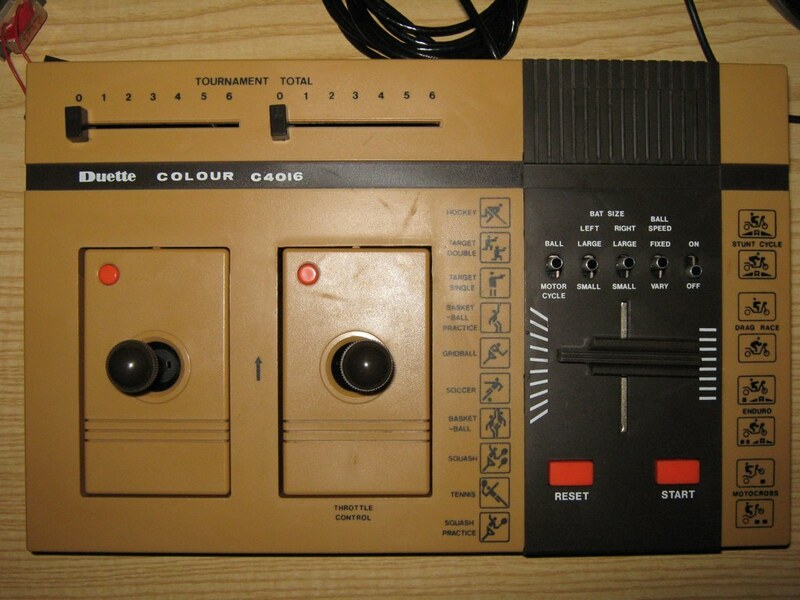 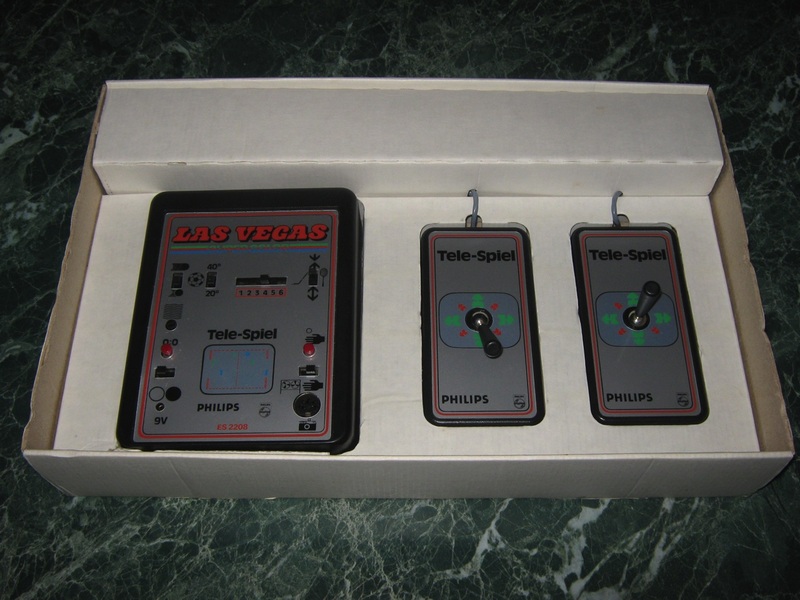 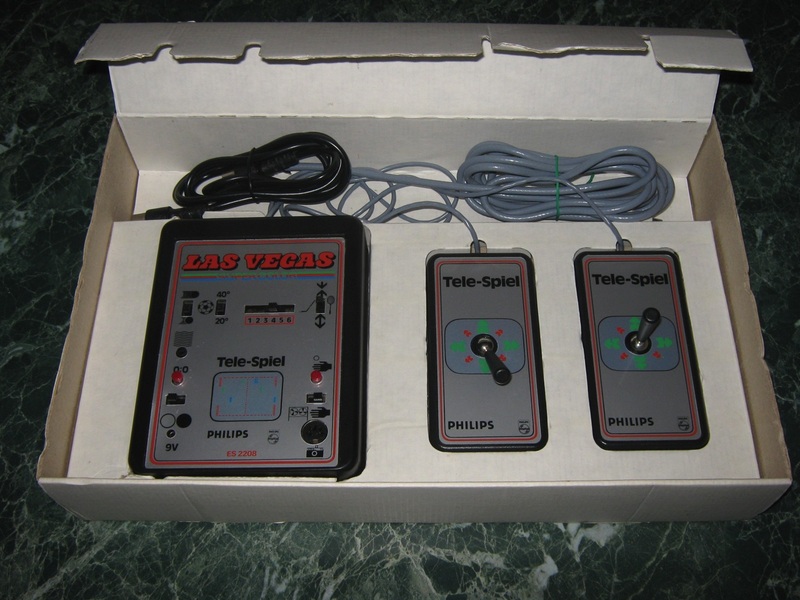 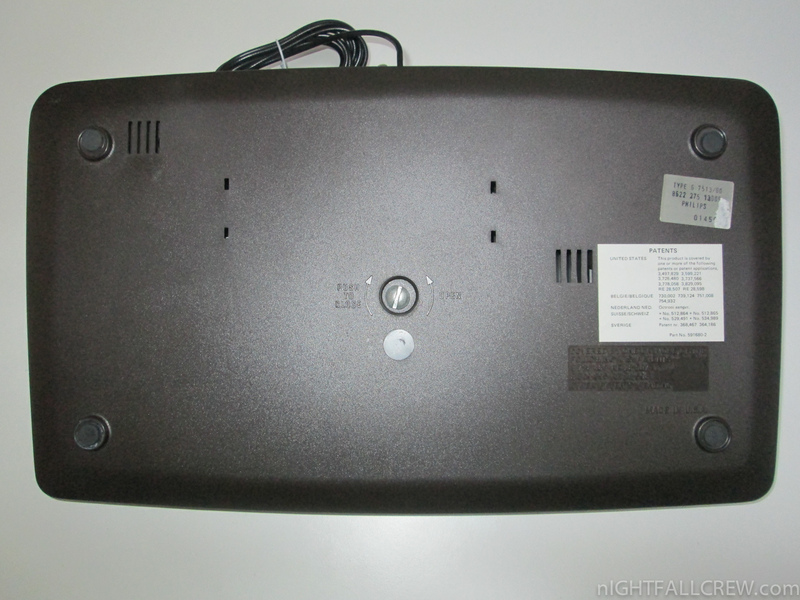 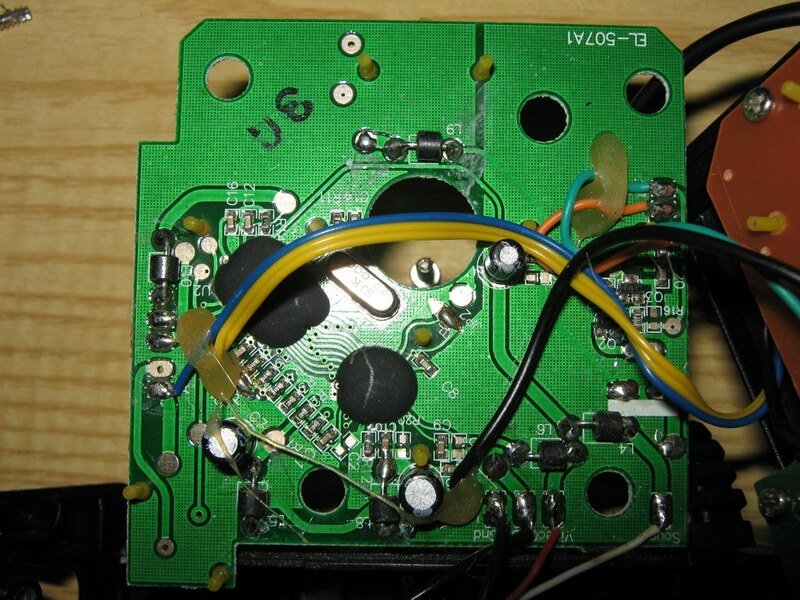 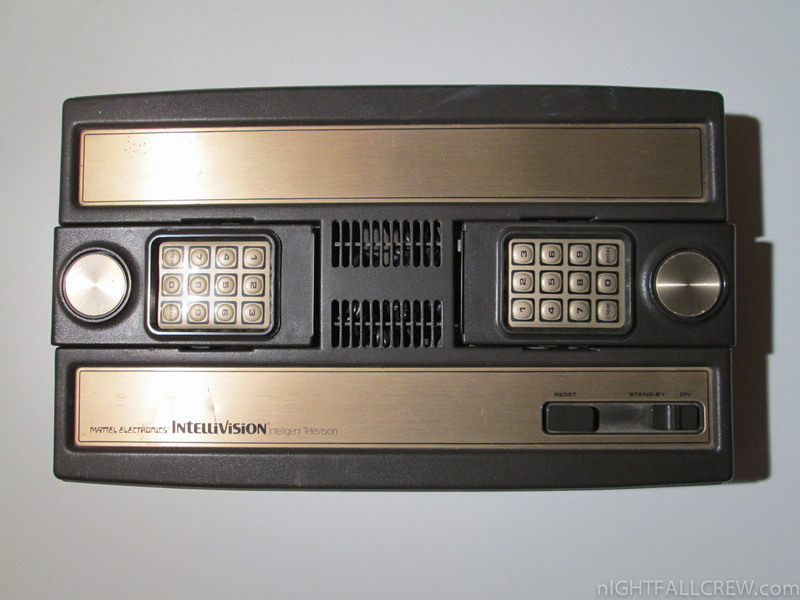 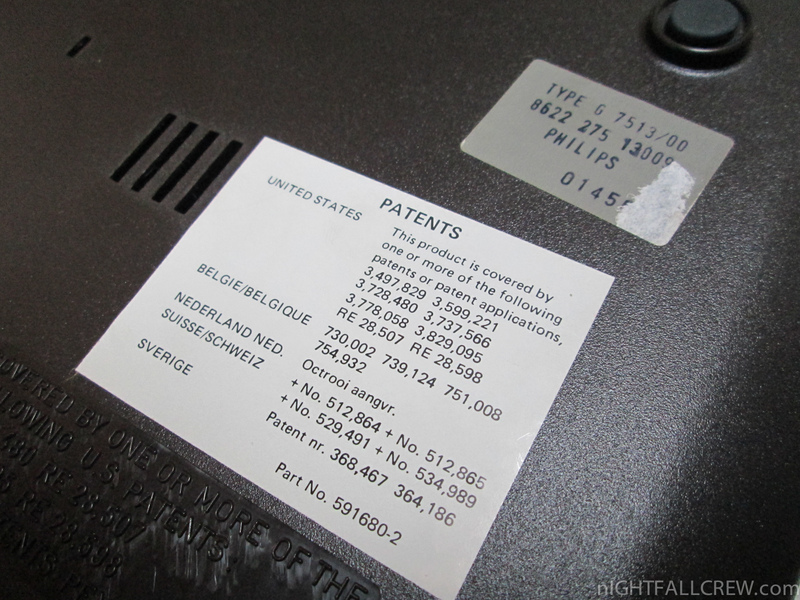 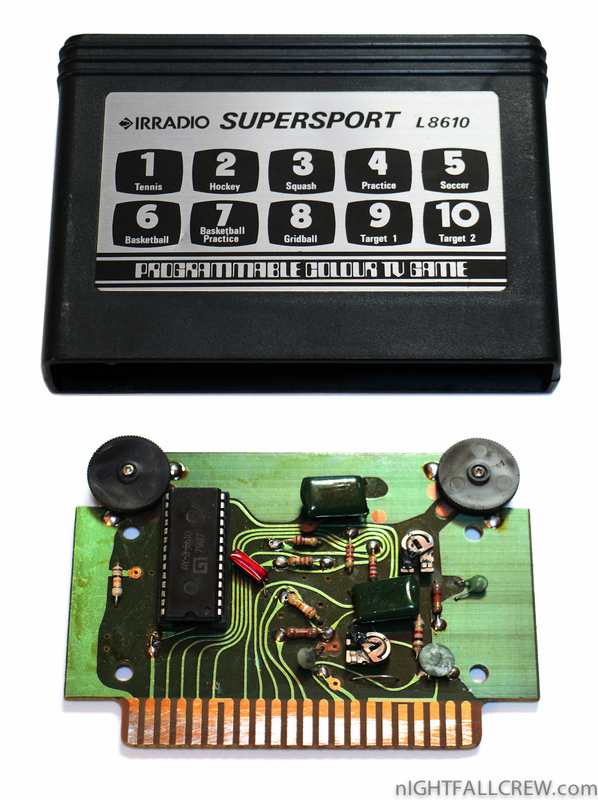 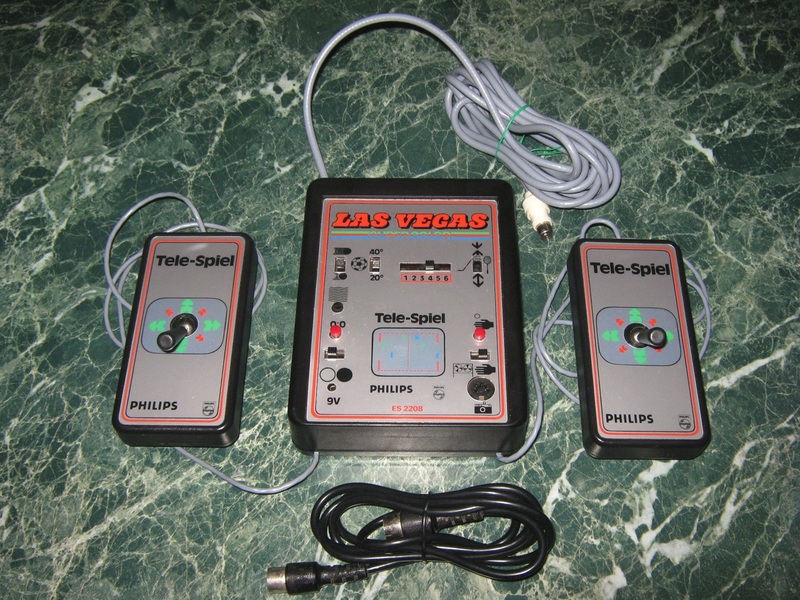 The Duette Color was originally designed to output an RF modulated (VHF) signal but with a mod you can get a better signal with the Composite Video .